— Adolf Galland, Generalleutnant, JV 44. 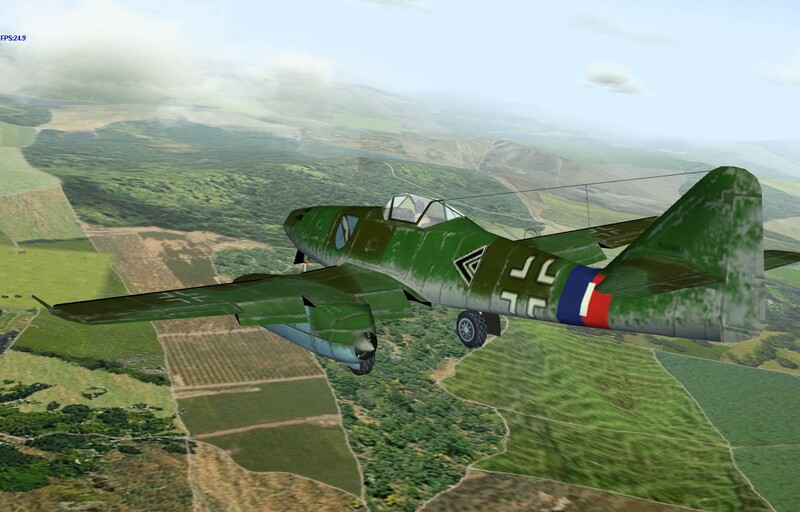 Speed – When not carrying bombs or rockets, the Me-262 can walk away from anything else in the skies. 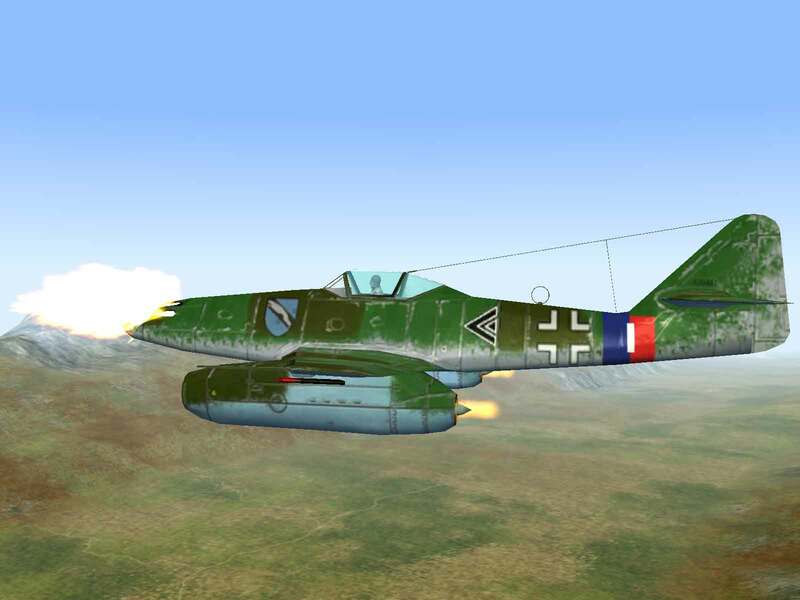 Firepower – Four 30mm cannon and twenty-four air-to-air rockets gives the Me 262 the most potent firepower in the game. 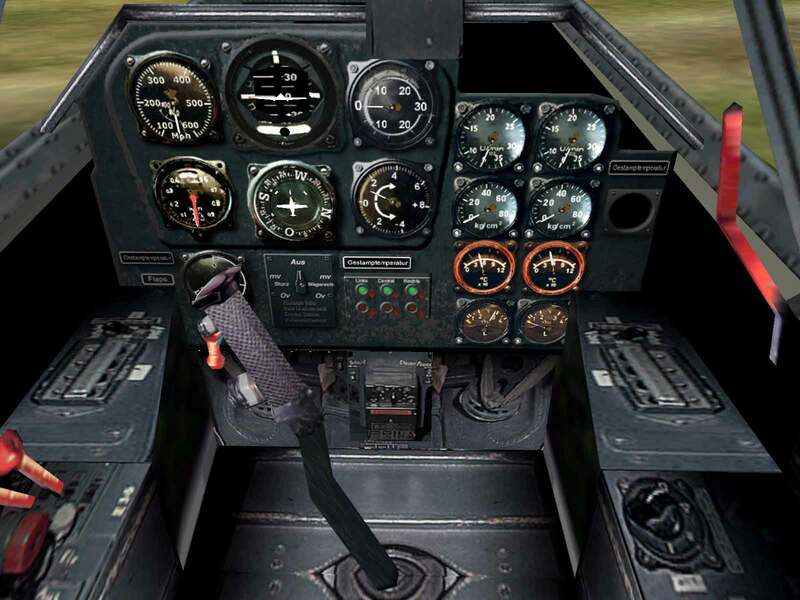 Acceleration – Once it is slowed down, the 262 is also slow to regain its speed leaving it prey to the quicker accelerating piston-engine planes. 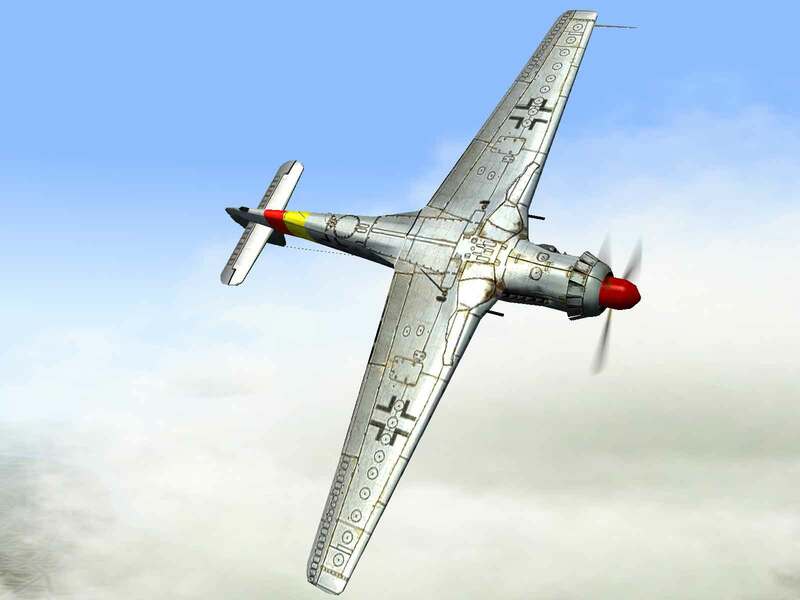 The basic design concept of the Me-262 was begun in late 1938 when the RLM issued an order to Messerschmitt for a plane capable of using the new axial-flow turbojets being developed by BMW. BMW estimated that their new P3302 engine would produce 1,320 lbs. of thrust and would be available for installation by December 1939. The Messerschmitt design team began work and on June 7, 1939 submitted their proposal to RLM as Project 1065. Utilizing two P3302 engines, the 1065 was projected to have a top speed of 560 mph. After inspecting the mock-up in January 1940, the RLM issued an order for three airframes for static and flight testing. By now of course, BMW had failed to deliver the 003 engine, as the P3302 had been redesignated, and its size was appreciably larger than anticipated. The lack of availability was a time issue, but the larger size was a design issue as it had originally been planned to mount the engines in the wing roots. A complete redesign was in order and the result was a larger plane with the engines mounted in nacelles under the wings. The new design was accepted in June 1940. Meanwhile bench tests of the BMW 003s revealed their output to be less than 570 lbs. of thrust, less than half of what they had promised. Fortunately, Junkers had also begun work on a turbojet, the Jumo 004. But although it was successfully run on the bench in November 1940, it too had problems and the first prototype was thus fitted with a single Junkers Jumo-210G in-line engine in the nose for flight testing of the airframe. 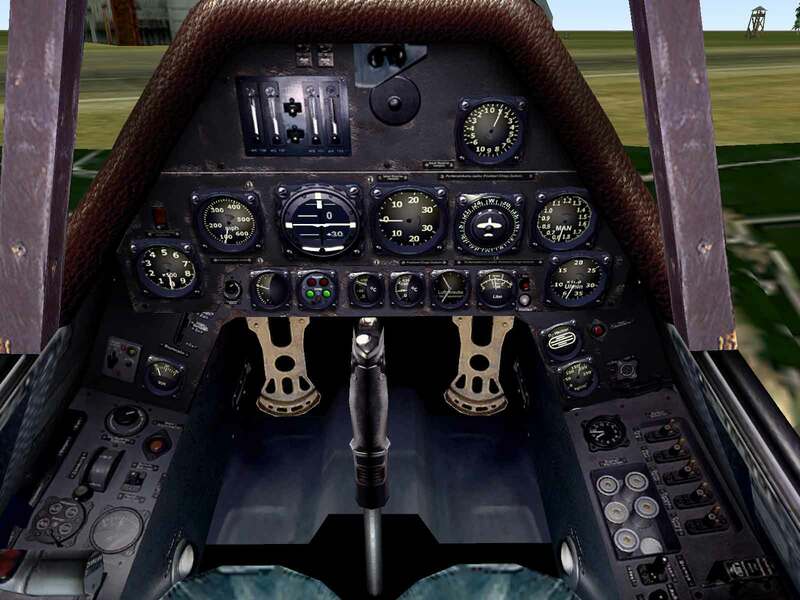 It was in this form that the plane first flew on April 18, 1941 and although it could only reach 260 mph, the airframe displayed pleasant handling characteristics. Further tests revealed some minor buffeting problems in a dive, which were subsequently resolved. The first flight-worthy BMW-003s arrived at Augsburg in November 1941 and were mounted in the nacelles of the 210G powered 262. After static testing it was declared flight-worthy and on March 25, 1942 the plane thundered down the runway under the power of all three engines. However, the plane was barely airborne before first one, then the other engine flamed out. Despite the increased weight and drag of the dead engines, the test pilot was able to make a circle and land safely. Upon inspection it was learned that the compressor blades had inexplicably broken and the engineers returned to BMW to work out the problems. As it turned out the BMW-003 had to be completely redesigned and would not fly again until late 1943. Soon Junkers had resolved most of the problems in their turbojet and the pre-production Jumo-004A-0 was delivered to Augsburg for installation. Being larger and heavier than the BMWs the Jumos required larger nacelles and a larger rudder to compensate for the expected disruption to lateral stability. Finally, on July 18, 1942 the Jumo-powered 262 was ready to fly and the team commenced high-speed taxiing trials. After some aborted attempts to raise the tail-wheel off the ground it was suggested to the pilot that he tap the brakes to ìkickî the tail into the air. 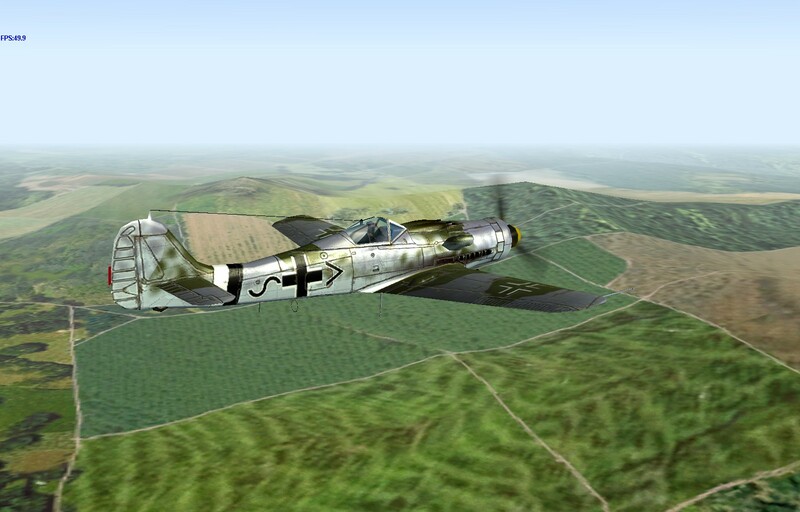 This worked and at 8:40 in the morning the Me-262 took to the air on turbojet power alone. 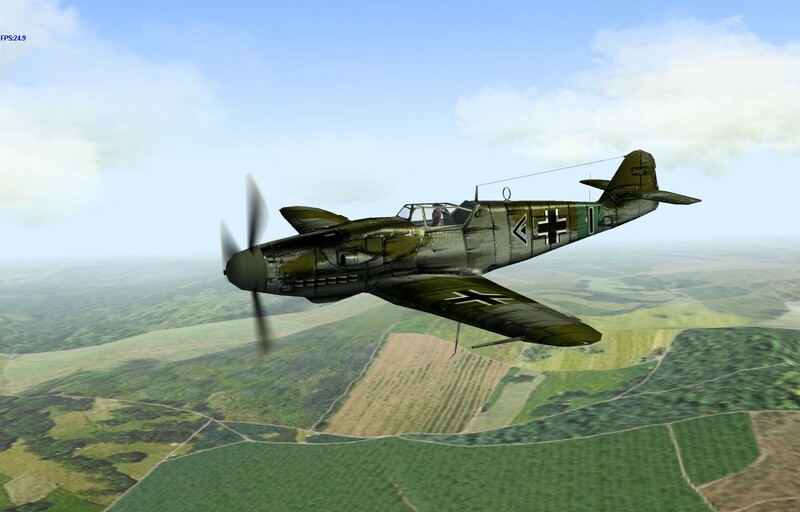 After completing seven additional short test flights it was felt that the plane could be turned over to a Luftwaffe test pilot for evaluation. After being told the take-off procedure the pilot tried to take off, but had difficulty getting the tail up in time. He barely had gotten airborne by the end of the runway, when he plowed through a hedge and into a manure pile, causing a ground loop from which he, but not the plane emerged safe. This set back the development program by a good six months while the prototype and new pre-production engines were rebuilt. During 1943 flight-testing showed the engines to be extremely susceptible to either flaming out or burning the turbine blades. 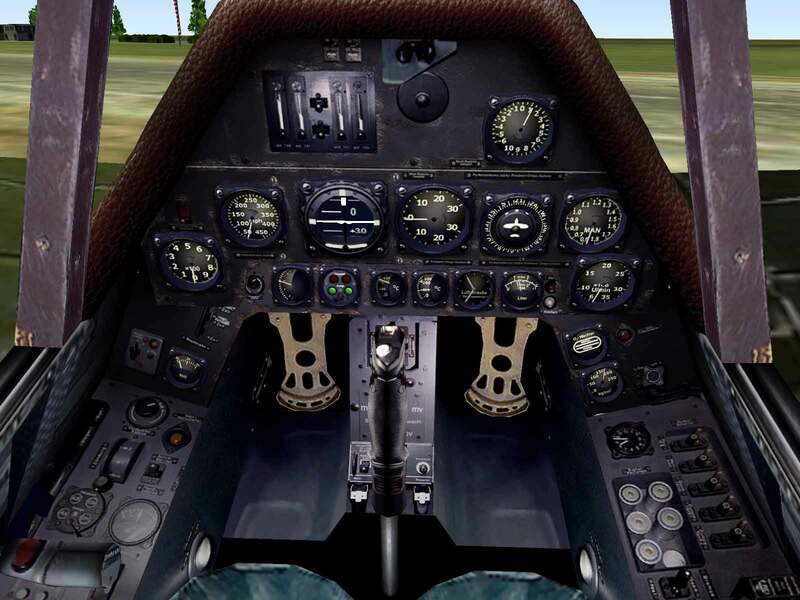 The plane required precise manipulation of the throttle with mistakes resulting in disaster. Even an excessive side-slip could cause an engine failure as they found on the second test flight of the reconstructed prototype when it crashed, killing the pilot. 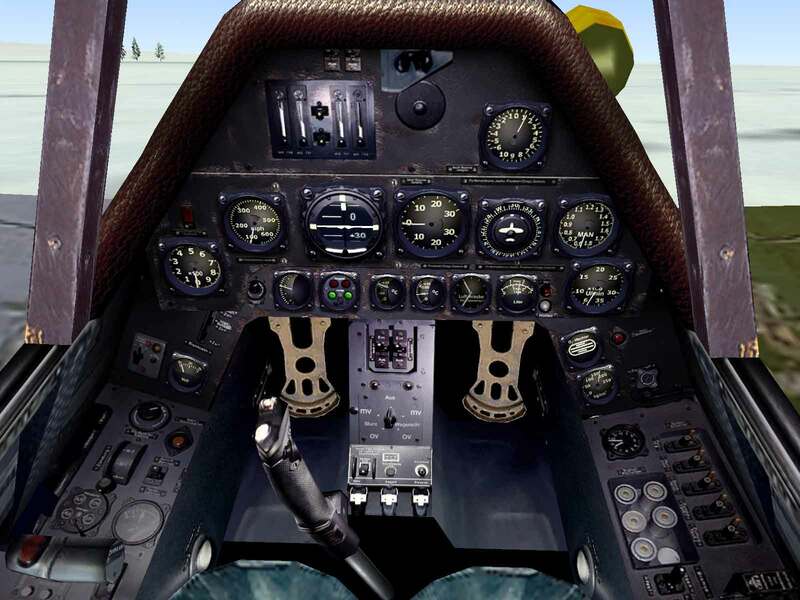 On November 2, 1943 Göring visited the Messerschmitt firm to ask if the Me-262 could carry bombs. 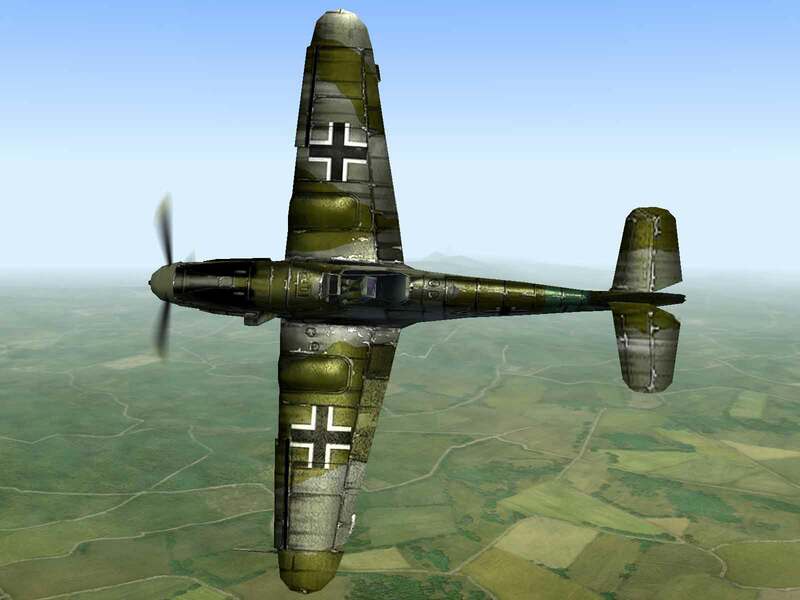 Messerschmitt replied that the plane had always been envisaged to carry two 551 lb. or a single 1102 lb. bombs, but that the equipment had not yet been installed. Göring then asked how soon the bomb-carrying version could be ready for delivery, to which Messerschmitt replied that the equipment hadnít actually been designed yet. Pressed further as to how much of a delay would be incurred, Messerschmitt amazingly replied, “Oh, not very long – two weeks perhaps. It isn’t really much of a problem; just a matter of camouflaging the clips.” Göring gullibly bought this excuse and left with the impression that the plane would soon be capable of carrying bombs. On November 26, Göring returned to Augsburg with Hitler for a demonstration of the Me-262. It was at this meeting that Hitler is purported to have asked if the plane could carry bombs and on learning that it could, proclaimed it to be the new Blitzbomber. However a subsequent telegram from Hitler’s Luftwaffe aide to Göring revealed a desire to get as many “fighter-bombers” into front-line service as fast as possible and his feeling that “a delay in our jet fighter program would be tantamount to irresponsible negligence”. Several months later when he learned that the planes delivered were not capable of carrying bombs, he flew into a rage and ordered that all Me 262s coming off the line be so equipped. But regardless of whether the plane was able to carry bombs or not the simple fact was that the revised Jumo-004B was still nowhere close to entering large-scale production. Only a few engines had been delivered by June 1944 when development was “frozen” in order to devote all resources to production of what they had achieved by that time. 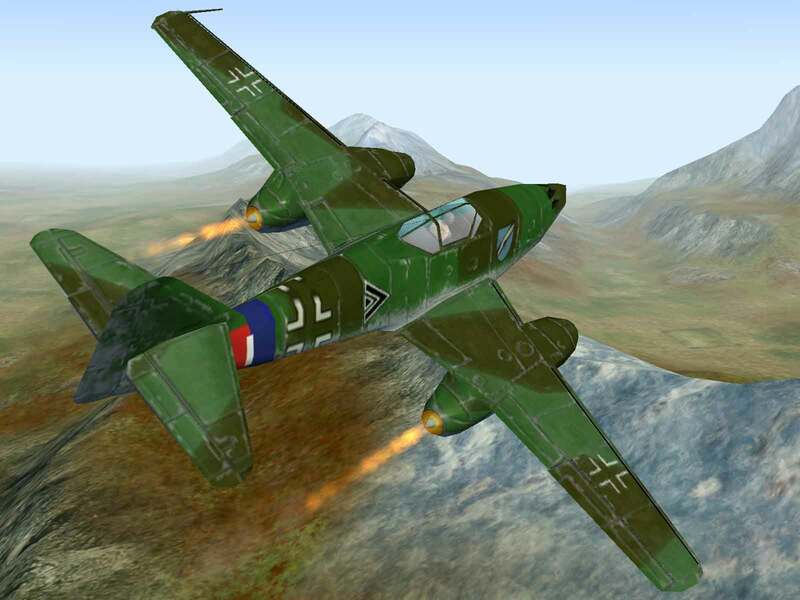 Further, the trickle of engines that flowed from the factory had to be split between the twin needs of the Me-262 and the Arado Ar-234 jet bomber. 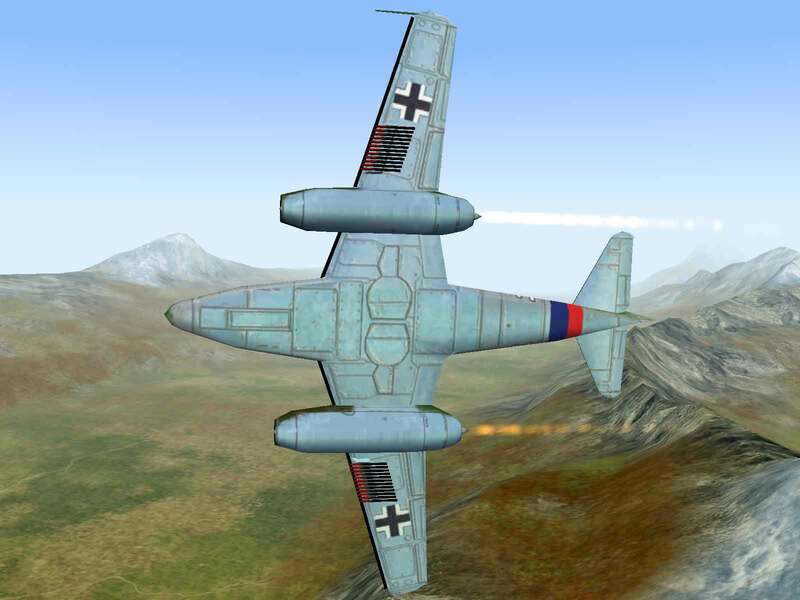 Sixteen pre-production Me-262A-0s had been accepted by April 1944 with the majority going to Erpobungskommando 262 commanded by Hauptman Thierfelder for the purpose of devising both a conversion training program and new combat tactics. 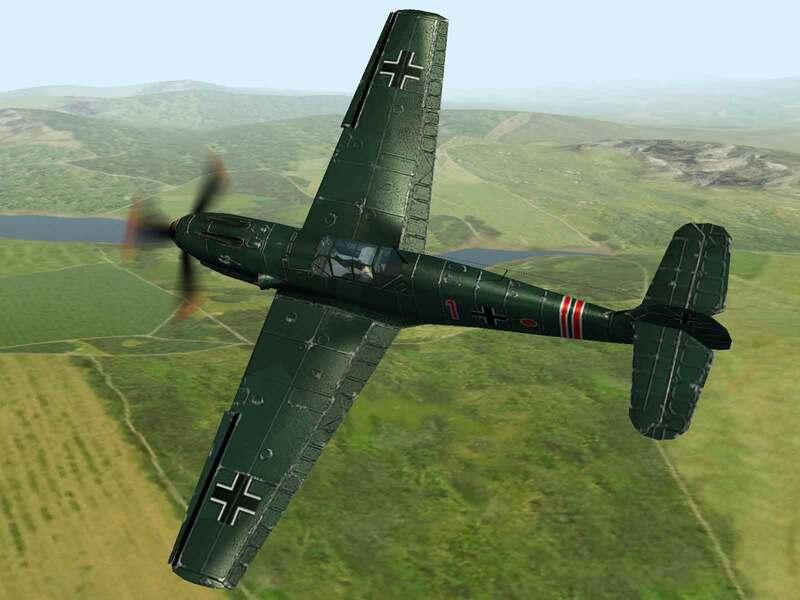 They started receiving their first production Me-262A-1a models in July. After Thierfelder was killed in a crash, Major Nowotny took command and the name of the unit was changed to Kommando Nowotny. 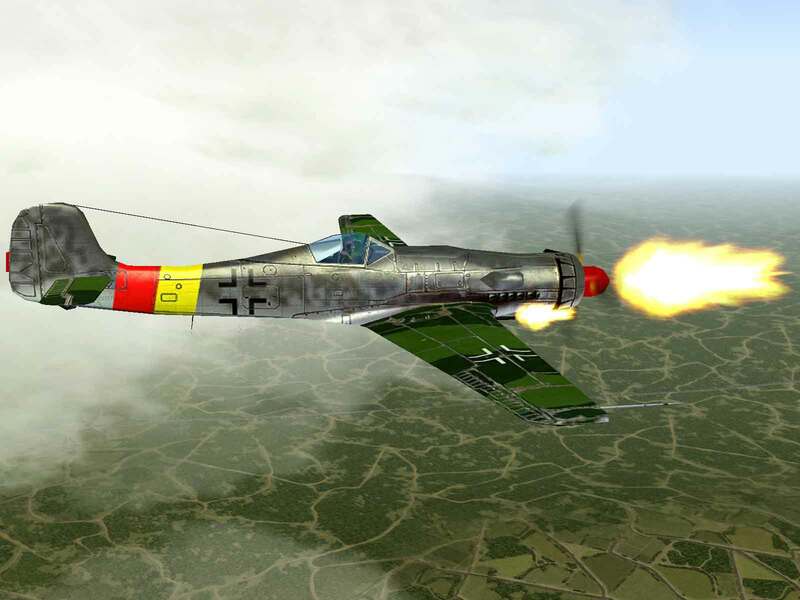 The problem of engine flameout was largely solved by the addition of fuel regulators, which provided the proper fuel flow regardless of how the throttle was handled, and the new plane was considered easier to fly than the Bf-109G. It was equipped with four 30mm Mk 108 cannon in the nose and could carry either two 551 lb. bombs or a single 1,102 lb. bomb. 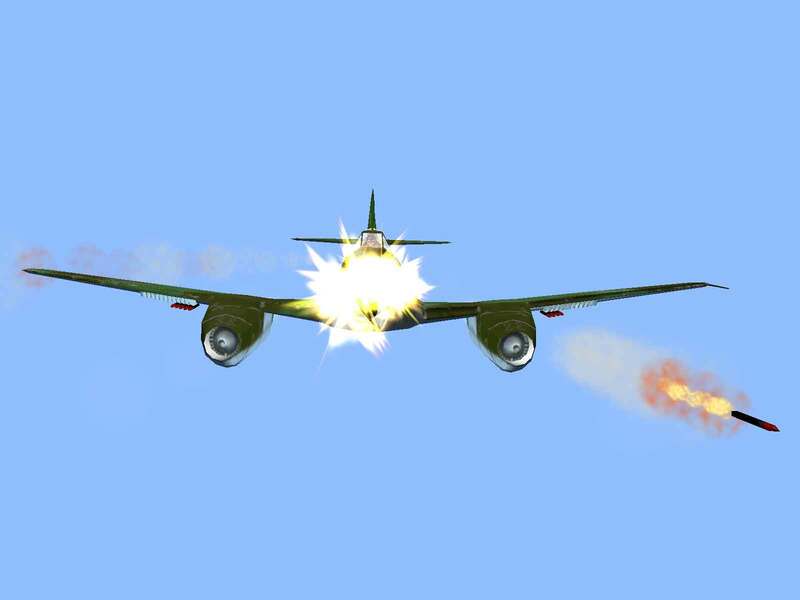 While the guns were effective, the most successful anti-bomber weapon was the brace of twenty-four R4M rockets, which were fired as a group into bomber formations. The rockets had about the same trajectory as the Mk 108 cannon and thus the same sight could be used. 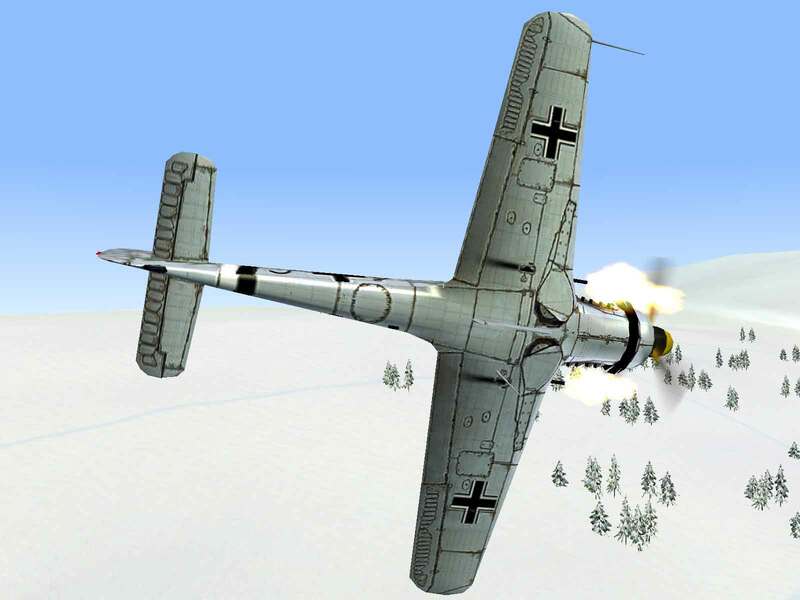 Despite the conversion of numerous units to the jet late in the war, the combined weight of the Allied armies ringed around Germany was just too much and many Me-262s were destroyed on the ground by the hordes of Allied fighters that patrolled the skies over Germany. But when they were used in concerted efforts, they were successful with over 500 heavy bombers falling to their guns and rockets. 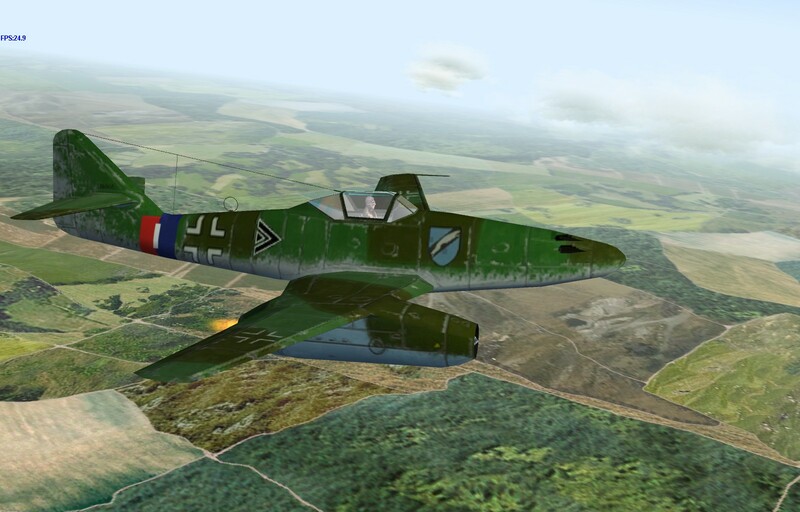 Despite being years ahead of its time, the Me-262 was too late to save Germany. Green, William; Warplanes of the Third Reich; Doubleday and Company, Garden City, NY; 1970. 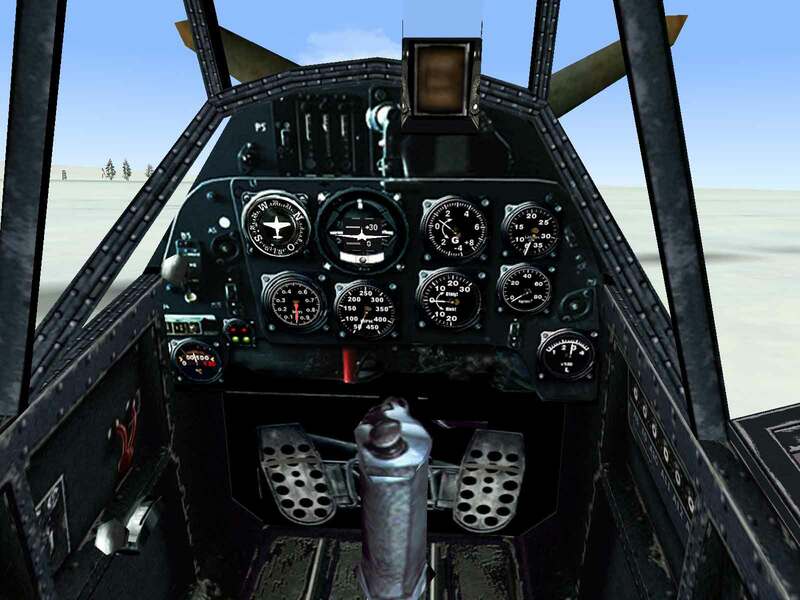 Firepower – Armed with one 30mm and two 20mm cannons close to the centerline, the Ta-152 has enough punch and ammo to down several heavy bombers in a single flight. High Altitude Performance – With a top speed of 472 mph at 41,010 feet only the jet and rocket fighters are capable of going higher and faster. Low Altitude Performance – Utilizing an engine optimized for high-altitudes, the Ta-152 can only manage 332 mph at sea level and thus can be caught by even early-war planes. Roll Rate – The extended wings help handling at high-altitude, but at the cost of low-to-medium altitude roll rates. Ground Attack – Without the ability to carry ordnance of any kind, the Ta-152 has only its guns to help with the ground war. 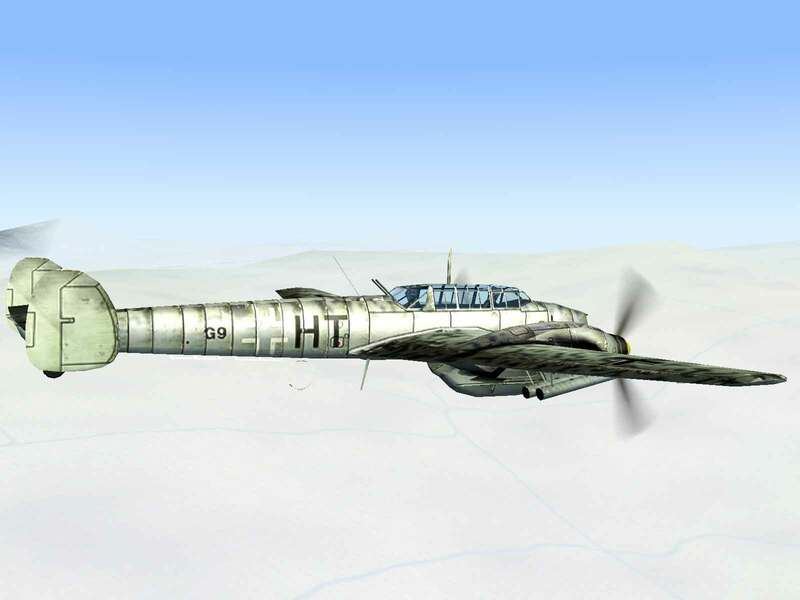 With it becoming increasingly obvious that high-altitudes were the domain of air combat in Europe, the Focke-Wulf and Messerschmitt companies were asked in late 1942 to submit proposals for a Hochleistungsjäger, of High-Performance Fighter. The plan was for a two-stage development with the first fighter being based on an existing model, using many common parts, and the second being built from the ground up. 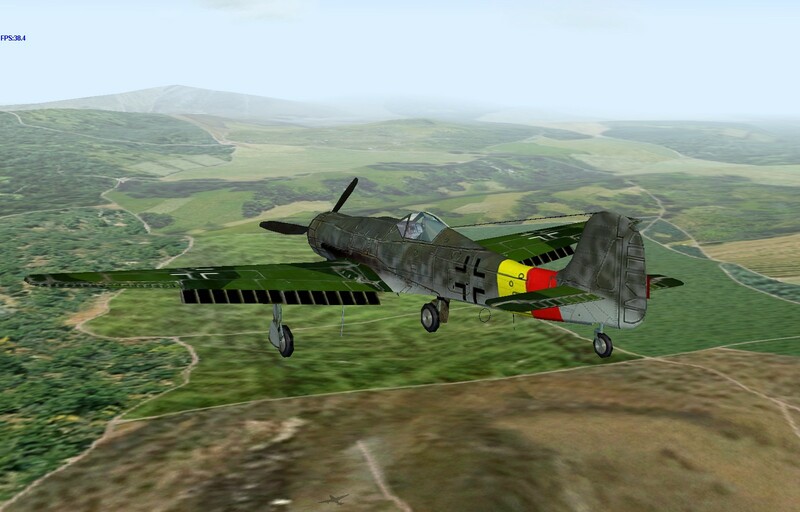 Kurt Tank submitted two proposals (Ra-2 and Ra-3) for the first stage based on the Jumo-213 powered FW-190D and a third (Ra-4D), which although it was based broadly on the 190, was to incorporate numerous structural and aerodynamic improvements. 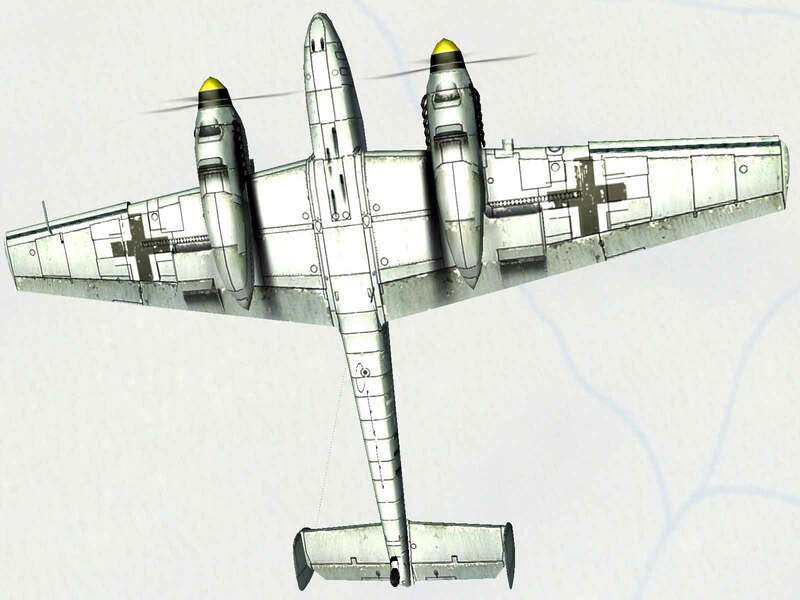 Although Messerschmitt submitted a design, the Me-155B, officials thought that Messerschmitt had too many projects in work already to devote sufficient time to the task. The Ra-2 and Ra-3 prototypes were essentially the same as the FW-190D-9s, except that they used the Jumo-213E with a three-speed, two-stage turbo-supercharger and induction cooler for improved high-altitude performance. MW50 methanol injection was installed and hydraulics replaced electric components for the flaps and landing gear. The fuselage was lengthened to improve internal capacity and, to compensate for the change in cg, the fuselage was moved aft 16 inches. Each plane was armed with a single 30mm Mk 108 engine-mounted cannon and a pair of 20mm MG 151 cannon in the wing roots. In addition, the Ra-2 prototype was fitted with another pair of MG 151s in the cowl. 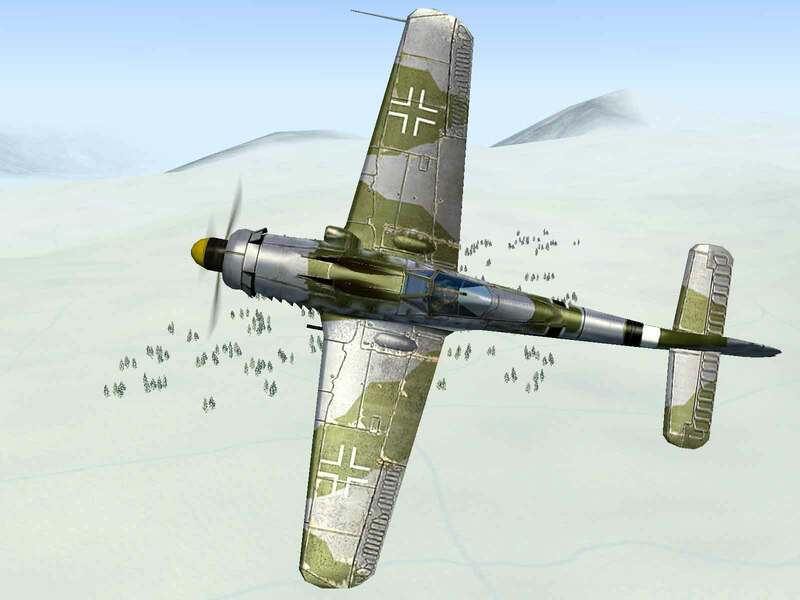 By this time in the war Kurt Tank’s reputation in the Luftwaffe was riding high and in his honor, and at his request, the plane was designated the Ta-152 instead of being included in the FW-190 lineage. Ra-2 was dubbed Ta-152B and Ra-3 became Ta-152H. Meanwhile, the Ra-4D model, or Ta-153 as it was now known, had begun development out of the FW-190C project. Of particular note was it’s wing, which although it offered only marginal aerodynamic improvements, was much simpler and easier to build and had a much greater internal capacity for fuel tanks. Because of these advantages it was decided that this wing would be transferred over to the Ta-152 project, with the H version having extended wing panels. A Ta-152H production line was setup at Cottbus and the first two production prototypes were produced in June and July 1944. 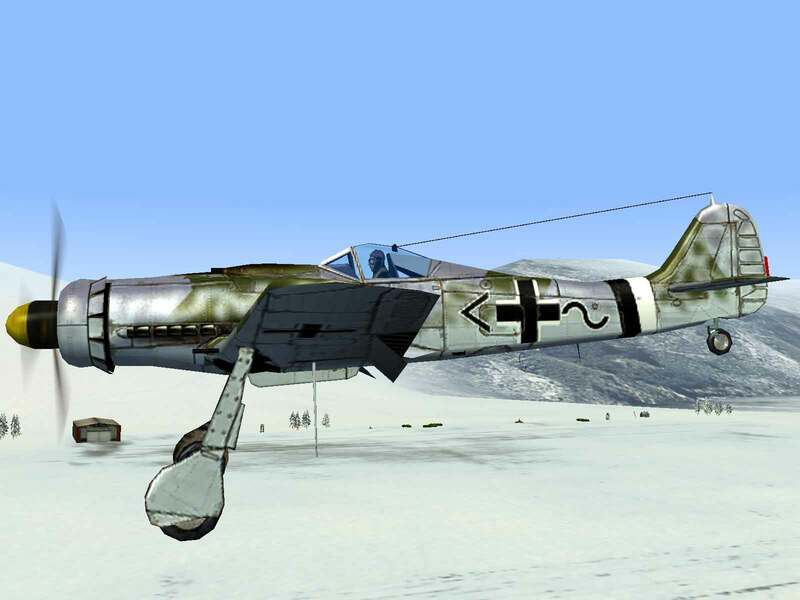 Joining them on the production line were the five remaining FW-190C prototypes, which were slated for conversion to the Ta-152H. Conversion and testing of these prototypes continued through November while twenty pre-production Ta-152H-0s were also built and delivered, these differing from the production H-1s only in having their wing tanks deleted. The Ta-152H was armed with a single engine-mounted Mk 108 with 90 rounds and a pair of 20mm MG 151s with 175 rpg in the wing roots. Internal fuel capacity could be increased by mounting an ETC-503 rack on the fuselage, which could hold a 300 liter tank. The H-0 weighed in at 10,420 lbs. loaded while the H-1 with its internal tanks weighed 11,502 lbs. More than 150 Ta-152H-1 fighters were produced at Cottbus between January 1945 and the facility being overrun by the Soviet army. 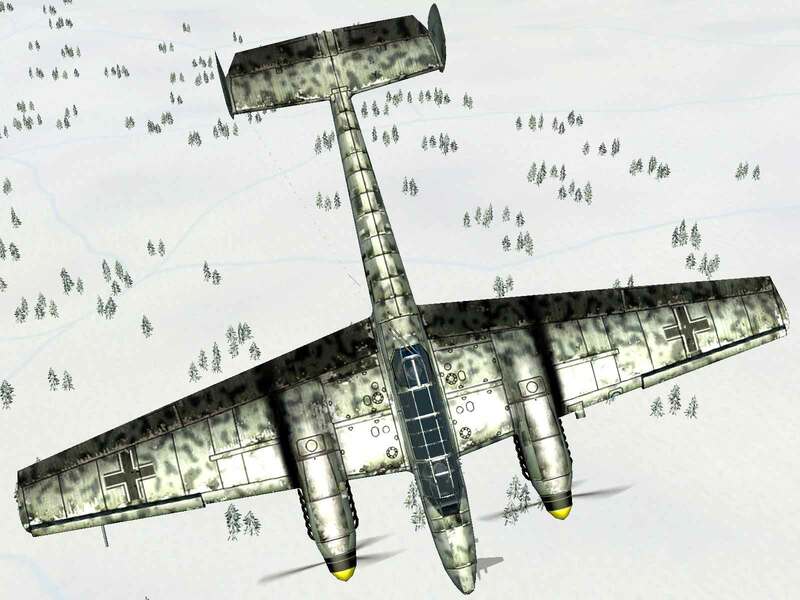 While no Jagdgruppen had converted fully to the machine, several Jagdstaffeln operated the plane alongside their D-9s and the Stabsschwarm of JG 301 was known to use the plane to provide top cover for Me-262 bases. However, the majority were likely destroyed on the ground by strafing Allied fighters while waiting to be accepted by the Luftwaffe. — Heinz Lange, Major, JG 51, Awarded Knight’s Cross of the Iron Cross. 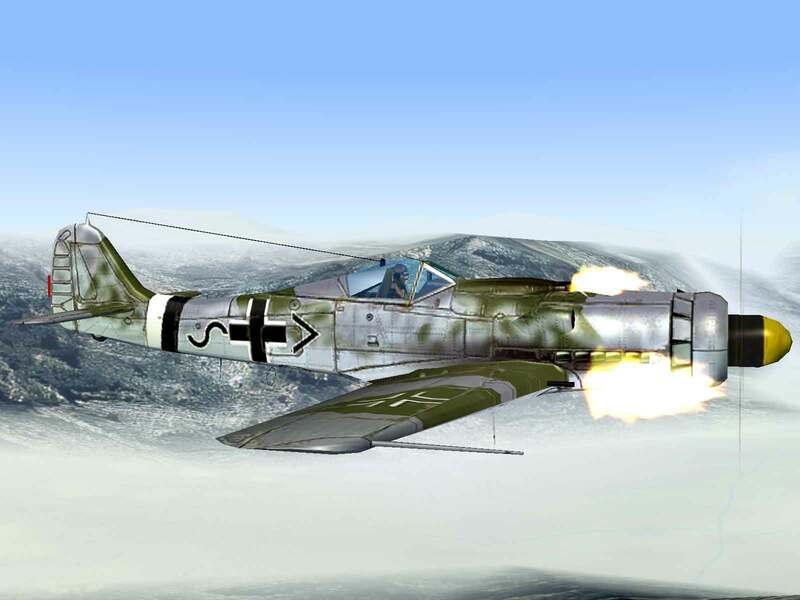 Firepower – The 30mm Mk 108s give the /R2 firepower greater than all but the Me-262. 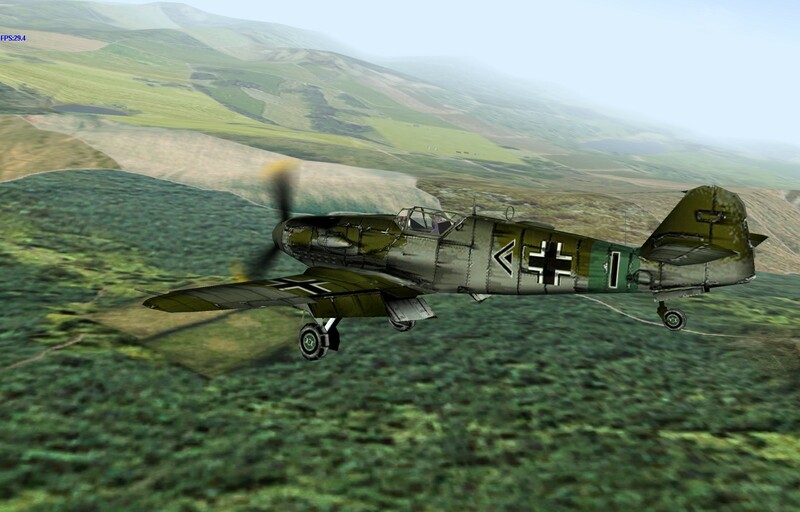 Turn Rate – With its high wing-loading the Würger can’t turn with planes like Spitfire or La-7. The 190 was the dominant plane in the skies of Europe in 1942, but further refinements were in order. With each increase in weight, the center of gravity of the plane had shifted and now it became apparent that it was too far aft. To alleviate this problem, the engine mount was extended forward about six inches in the A-5 model. Several A-5s were shipped to Japan in 1943 for evaluations and although the Japanese didnít adopt it into service, the Allies spotted it and gave it the code-name ìFredî. By now the 190 was weighing in at over 9,000 lbs. and in an effort to reduce weight somewhat, Kurt Tank redesigned the wing. This new wing was mounted to an A-5 test bed, then was introduced into service with the A-6 in late 1943. While the new wing’s appearance was virtually identical to the previous one, it was able to mount MG-151/20 cannon in the outboard positions previously occupied by the MG-FF. 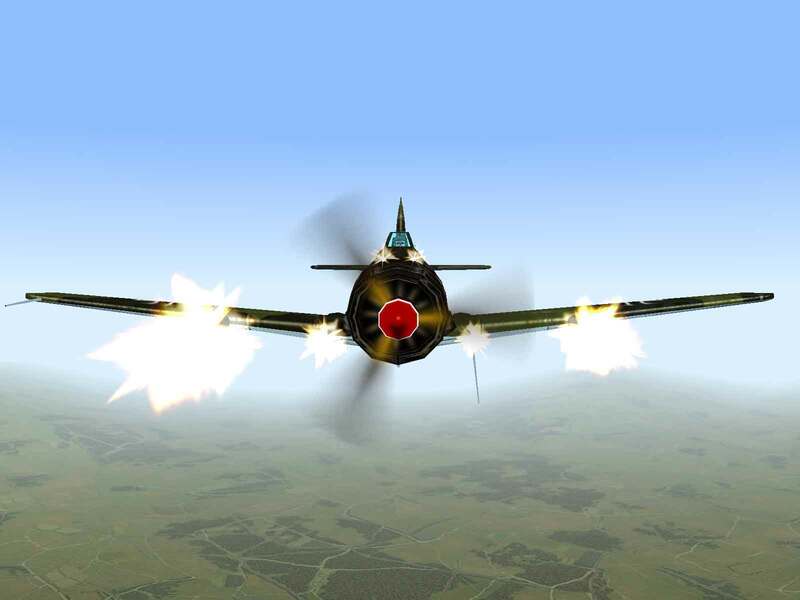 Fed by 125 round belts, these new guns greatly increased the firepower available to the pilot. The A-7 was originally intended to be a high-speed photo reconnaissance version, but the needs of combat units changed those plans. Nothing more than an interim version, only 80 A-7s were produced, but it was the first version to replace the 7.92mm machine guns in the cowl with 13mm MG-131s with 400 rpg. The A-8 was soon introduced with a host of minor refinements and changes, including the addition of removable fuel cells behind the pilotís seat as an alternative to the MW50 methanol injection system. By this time, the system of Umrüst Bausätze factory conversion kits had been completely replaced by the Rüstätz field conversion kits. The /R2 kit replaced the outboard MG-151s with 30mm Mk 108 cannons with 55 rpg in the wings. While it retained the hitting power of the /R6, the Mk 108’s low muzzle velocity limited the effective range and the “mine” type HE rounds it used were unsuited for anti-armor work. 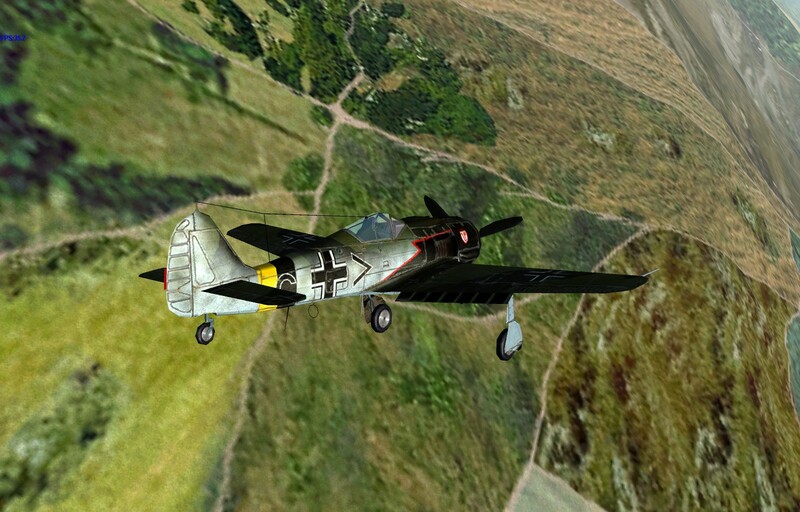 Filley, Brian; FW 190A, F, and G In Action; Squadron/Signal Publications, Carrollton, TX; 1999. 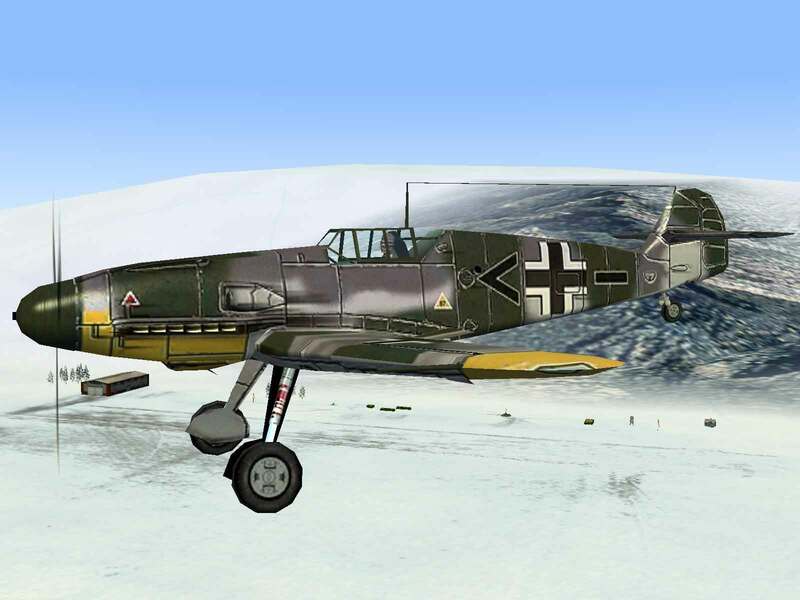 Firepower – The heavy 30mm and 20mm cannon armament and large ammo load gives the Bf-110G-2/R4 one of the better firepower combinations in the game. 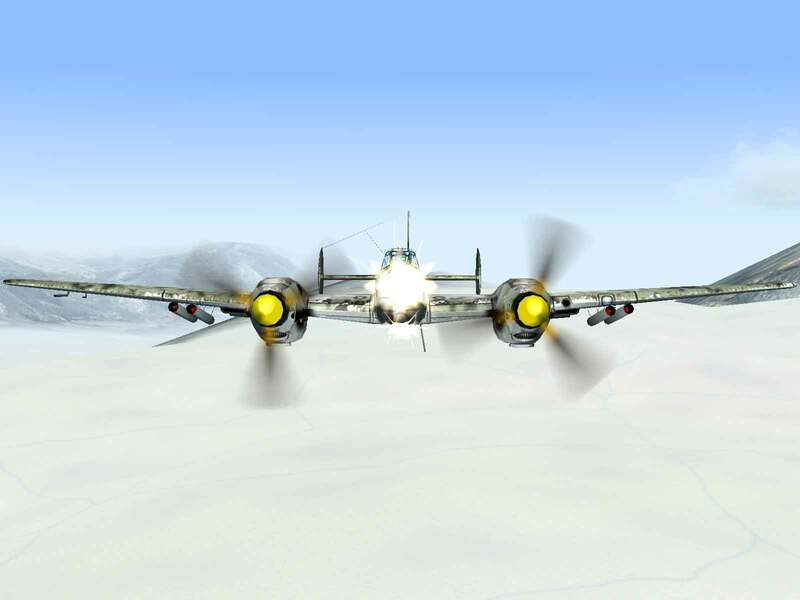 Speed – With a top speed of 342 mph and it being even slower when fully loaded, the Bf-110G-2 can’t run from anything except the slowest of early war fighters. 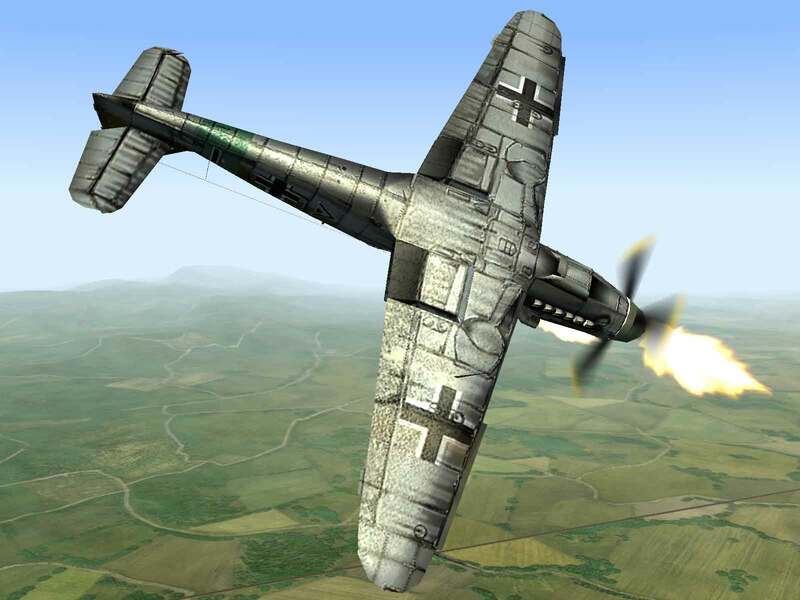 As it became more and more apparent that the Zerstörer was not capable of fighting against single-engine planes on an equal basis, the type began to be used more and more for the ground-attack role. The D, E, and F versions made incremental improvements to the engine power and carrying capacity until the bomb load exceeded 4,400 lbs. 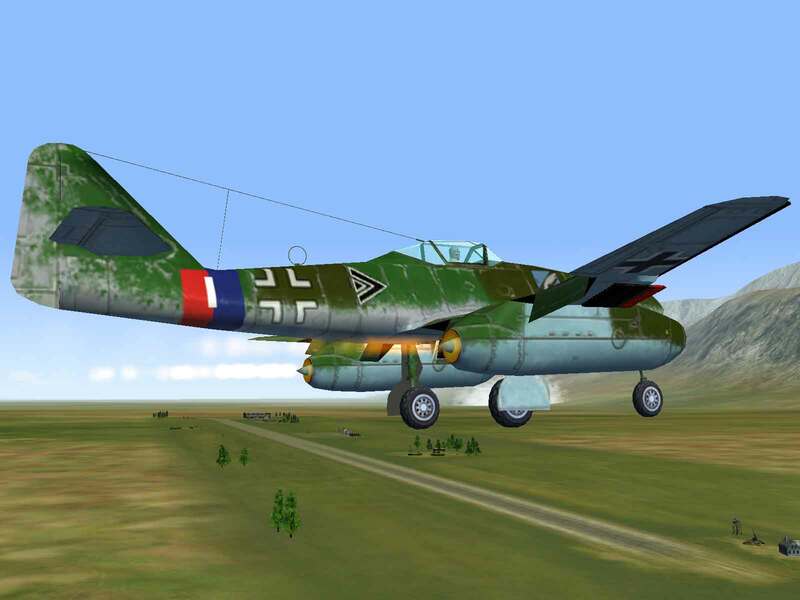 With the failure of the Messerschmitt Me-210 as a replacement, work began on a more powerful version of the Bf-110 powered by the new Daimler-Benz DB-605 engines. 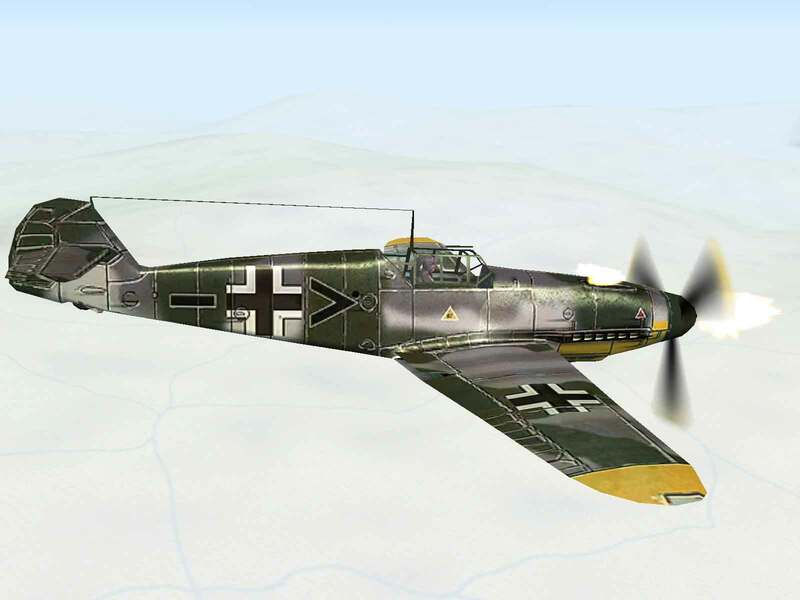 The armament of the initial Bf-110G-0, as it was known, was the same as in the final D and F versions, four MG-17 7.9mm machine guns and two MG-FF 20mm cannon in the nose, but the MG-FF were replaced with the more powerful MG-151/20s in the production G-1 version. However, the G-1 was soon supplanted by the G-2, which was designed to use a variety of Rüstsätze field conversion kits. The /R4 variant was designed as a heavy ground-attack and bomber-interceptor. The four nose-mounted MG-17 machine guns were replaced with a pair of 30mm MK-108 cannon with 135 rpg. The large 30mm “mine” shells were devastating to bombers and soft ground targets, while the MG-151/20s provided decent penetration against lightly armored targets. Campbell, Jerry L.; Messerschmitt Bf-110 Zerstörer In Action; Squadron/Signal Publications, Carrollton, TX; 1977. Chant, Chris; German Warplanes Of World War II; Amber Books, Ltd., London; 1999. Donald, David; Warplanes Of The Luftwaffe; Aerospace Publishing, London; 1994. Climb Rate – Nothing climbs like a K, which makes it the plane of choice for many dedicated Boom and Zoom pilots. Firepower – The single 30mm cannon is enough to do serious damage to any aircraft it hits. Maneuvering – Further increases in the weight of the series reduced its maneuvering ability, although the additional power of the 605DCM engine makes it more survivable than the Gustav. 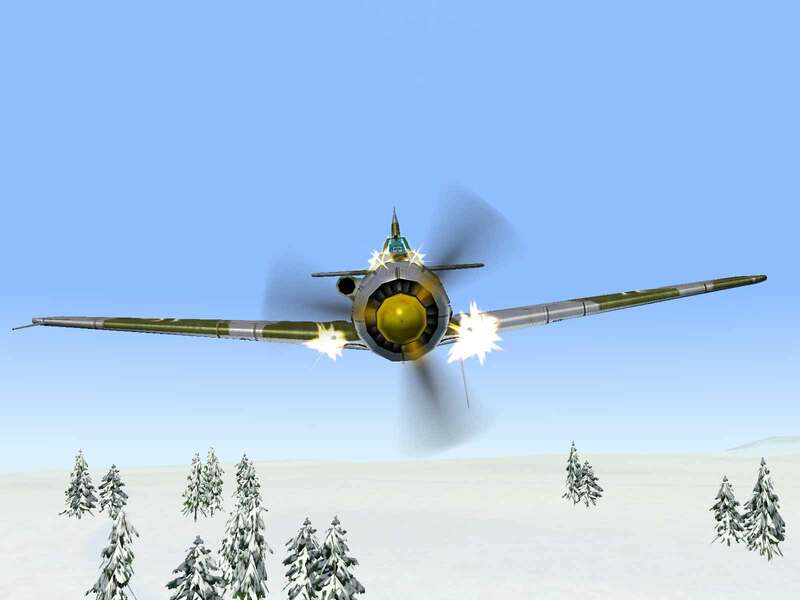 Ammo Load – The 60 rounds of 30mm get expended far too quickly to allow the plane to be used against numerous targets. 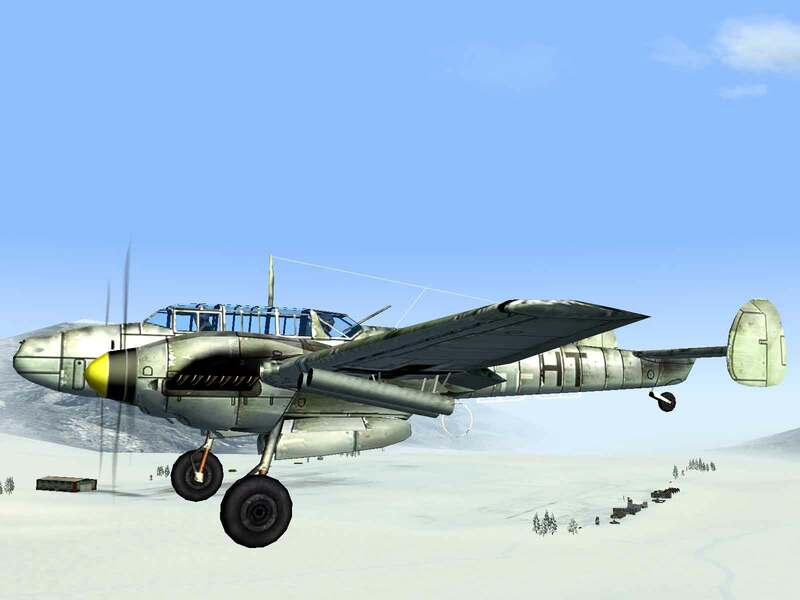 Durability – The 109 was a small plane and not capable of absorbing much combat damage. By 1944 the Gustav had become both slow and heavy, which combined with poor pilot training to create ever higher fighter losses. Additionally, the dispersal of the German aircraft industry caused by the American daylight raids had resulted in a sort of chaos in 109 production that was impacting aircraft availability. This chaos also meant that different versions of the same production series began to appear in service, complicating maintenance. 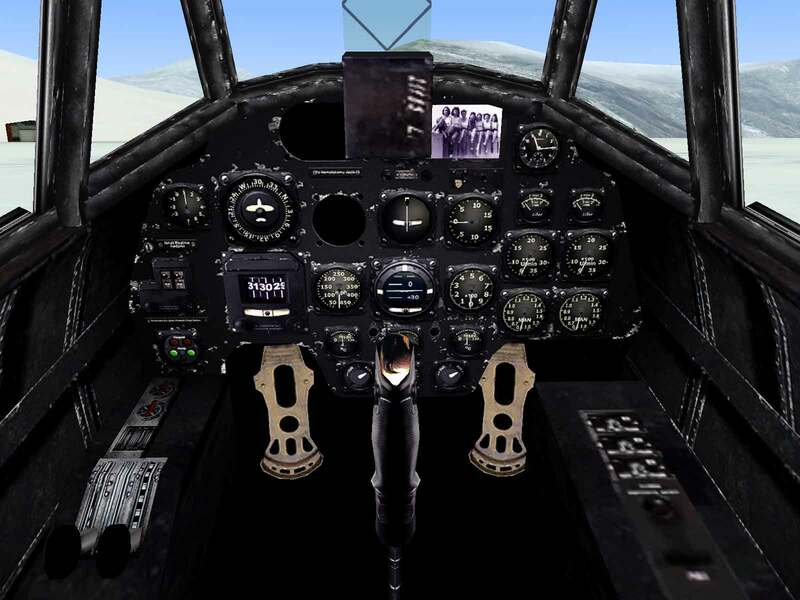 The K series was an attempt to incorporate all the various improvements found in the G-14 and G-10 versions, as well as a few improvements of its own. Coming from the G-10 was the 2,000 hp DB-605DCM, which was a modification of the DB-605AS utilizing a larger supercharger. Also standard were the high-visibility Erla Haube canopy (also known as the “Galland” hood), the taller wooden tail and retractable tail wheel. The 30mm Mk-108 had been tried in various versions of the Gustav, including the G-6. But problems with jamming prevented its widespread use. However with these problems finally fixed, it replaced the 20mm MG-151 as the standard engine cannon. 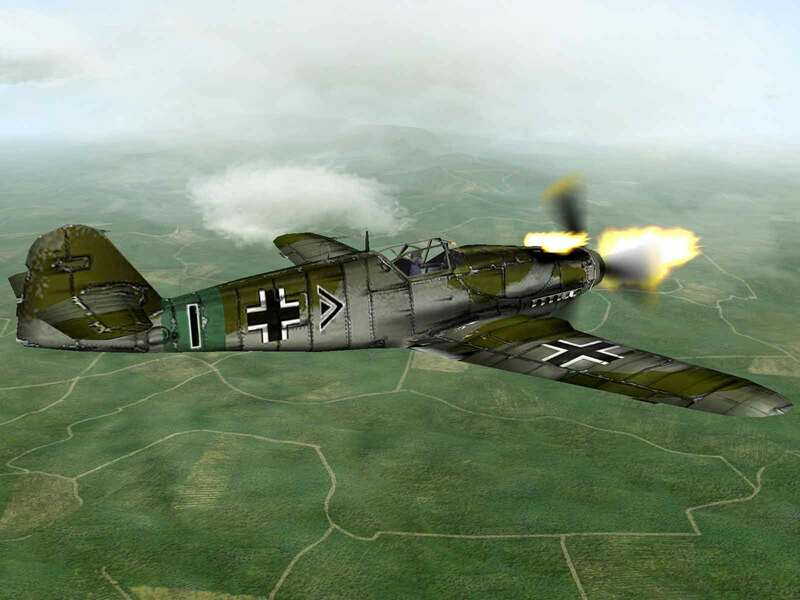 Equipped with 60 rounds, its hit was devastating and finally gave the 109 bomber-killing power without the use of Rüstätz kits. Only about 700 K-4s were produced, but it served with a number of different units, including JG 2, JG 3, JG 27, JG 51, JG 52, JG 53 and JG 77. Beaman Jr., John R. and Campbell, Jerry L.; Messerschmitt Bf 109 In Action, Part One; Squadron/Signal Publications, Carrollton, TX; 1980. 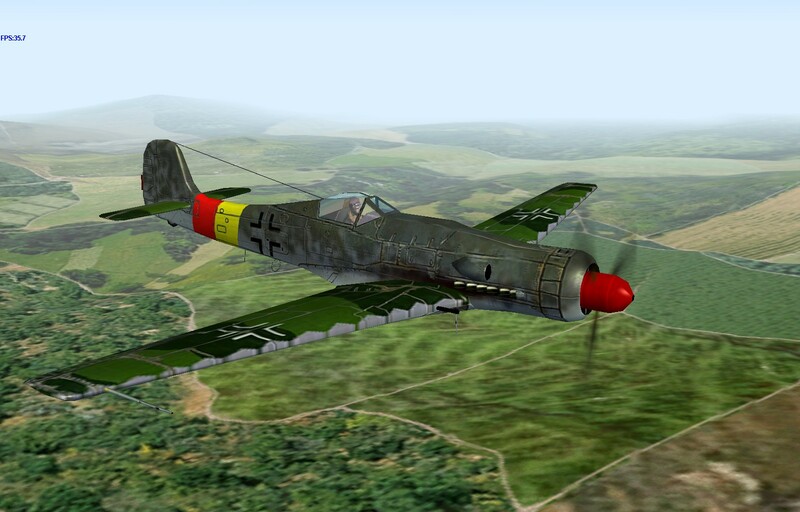 “I really felt comfortable in the Me 109, and this was the mainstay fighter. 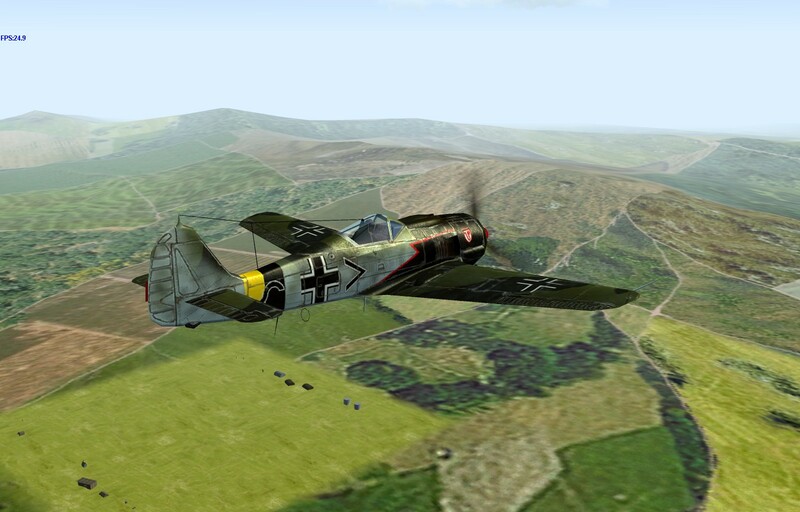 But the Fw 190 was truly a much better fighter. It was more powerful, stronger, built better, and was in its structure able to withstand more damage than a 109. The weapons platform was incredible, and you had a lot more firepower, especially when the A-6, A-8 and F models were built. Later the Dora was built, which was also faster, just as strong, but now had a liquid cooled engine, instead of the radial air-cooled engine. 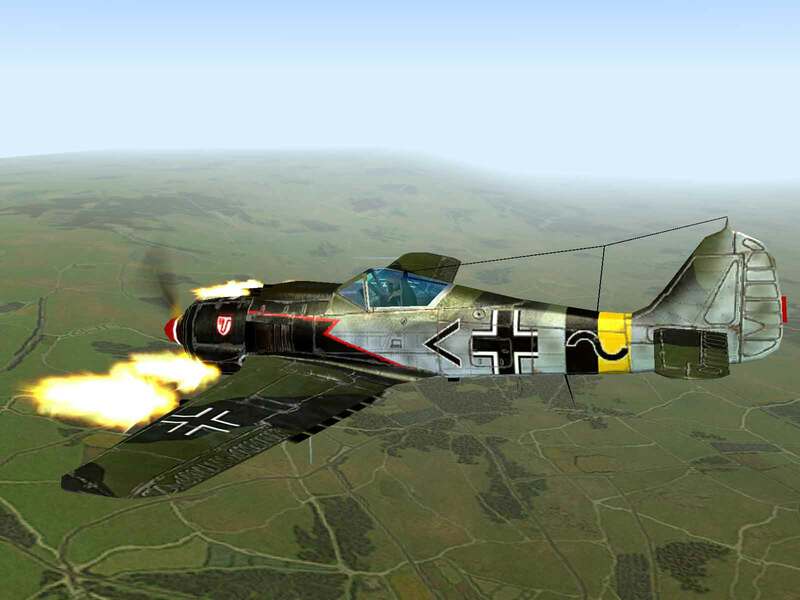 — Hermann Buchner, German Luftwaffe fighter ace with 46 tank victories and 58 aerial victories. Roll Rate – Although the Spitfire could out-turn the 190 on the level, the 190’s greater roll rate gave it the edge in maneuvering. 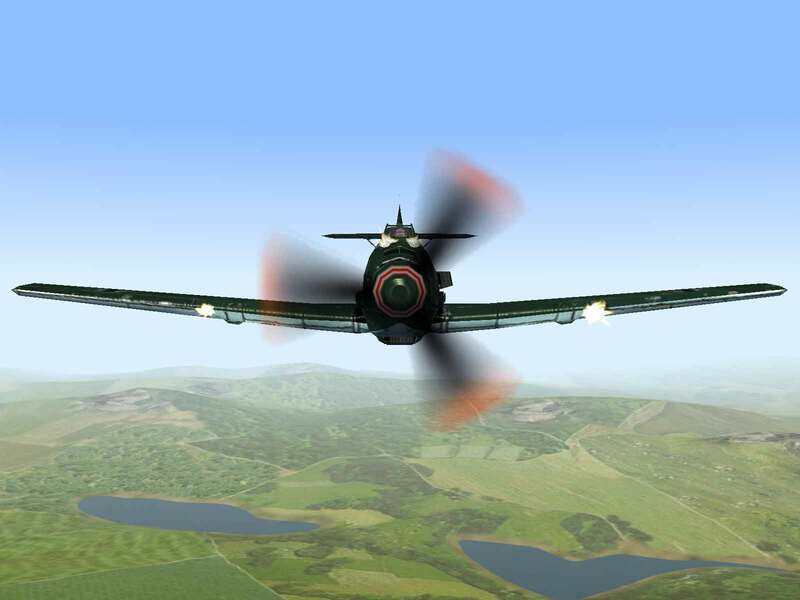 Turn Rate – With its high wing-loading the Dora can’t turn with planes like Spitfire or La-7. A-series production was in full swing in 1942 when it was decided to find a solution to the Würger’s poor high-altitude performance. The GM-1 nitrous system was able to boost performance up to about 26,000 feet, but there wasn’t enough nitrous to use it for more than a short time and the weight of the system was equal to the entire armament package! Kurt Tank had always viewed GM-1 as a temporary measure and decided to re-engine the 190. He initially wanted to use the new Daimler-Benz DB-603 in-line engine, but it had been developed without official sanction and the RLM made it clear that they would view such a project with extreme disfavor. Despite this unpleasant fact, the regard for Tank was so high that they allowed him to experiment with the engine, with the understanding that it would be thought of as a back-up measure only. Two other engine proposals were also considered, one using a turbo-supercharged BMW-801 and the other using the new Jumo-213 in-line. The B-series designation was used for the turbo-supercharged BMW-801 installation. In addition to the turbo-supercharger, the B-series was intended to use a pressurized cabin and a new wing with 11% greater area. Unfortunately, BMW was nowhere close to releasing a turbo-supercharger, so this model was re-fitted with the DB-603A with an annular radiator. Although it was able to reach 39,000 feet, the requirement had been increased to 46,000 feet. The C-series designation was reserved for the DB-603Aa installation with a large ventral turbo-supercharger. Despite the additional drag of the supercharger intake the prototype clocked in at 447 mph at 29,530 feet and 404 mph at 39,370 feet! 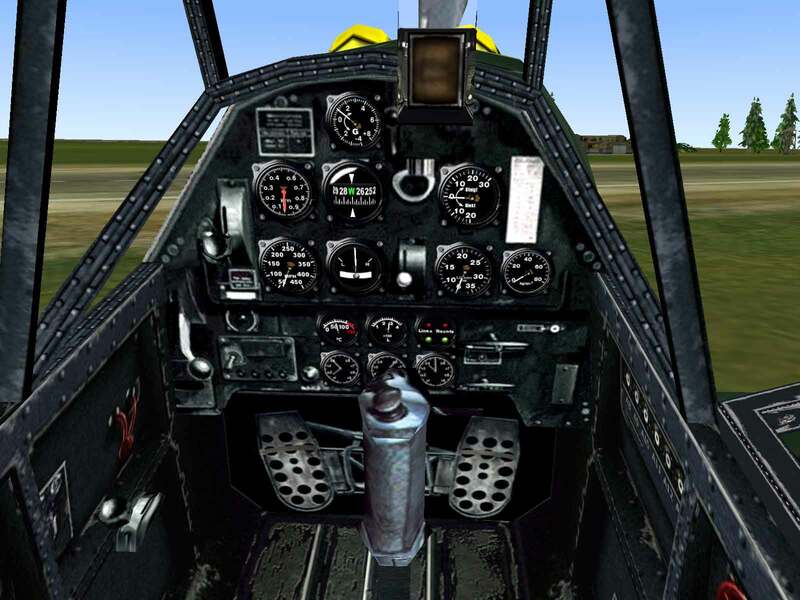 The Focke-Wulf team felt this engine offered the best high-altitude performance, but engine availability was the primary operating factor and the C-series was abandoned. The D-series was originally intended as a medium-altitude variation of the basic A-series 190 and was to use the new Jumo-213 in-line engine. Many pilots considered this engine to be nothing more than a bomber engine forced on the manufacturer by the RLM and Tank considered the Dora to be an “emergency solution” until his new Ta-152 could be delivered. However, the D-9 outperformed the A-8 at all altitudes and pilot misgivings were swept away. The D-9’s armament consisted of a pair of 13mm MG-131s mounted in the cowl with 475 rpg and a pair of MG-151 20mm cannon with 250 rpg in the wing roots. The outboard cannon of the A-series was deleted to save weight and improve roll performance. With an ETC-504 rack under the fuselage and a pair of ETC-503s under the wing, the D-9 could carry a single bomb as large as 1,100 lbs. or up to three 550 lb. bombs. — RAF Royal Aircraft Establishment (RAE) Farnborough handling trials,Bf.109E Wn: 1304. M.B. Morgan and R. Smelt of the RAE, 1944. Speed – The top speed of 348 mph is very good for an early war fighter. 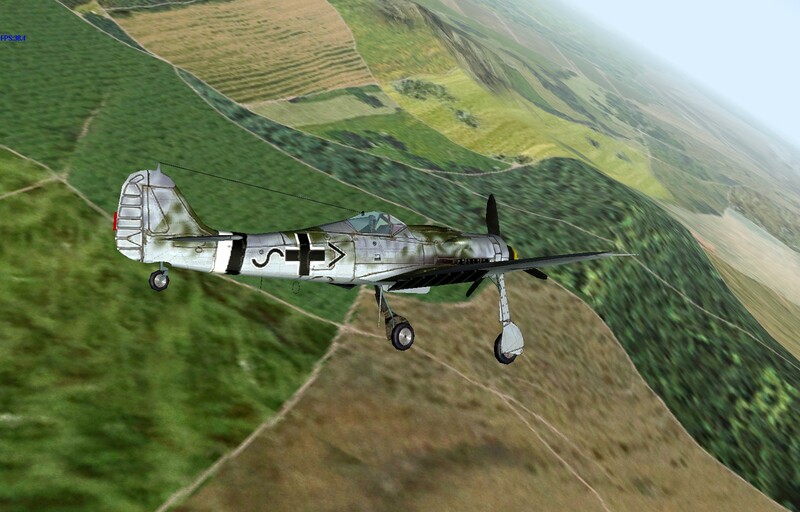 Climb Rate – The Bf-109s all had superior climb rate over their competition up to 20,000 feet. Ammo Load – Although the firepower is greatly increased by addition of the MG-FF/M cannon, their ammo load of only 60 rpg is used up in less than 10 seconds of fire time, leaving just a pair of 7.9mm machine guns. 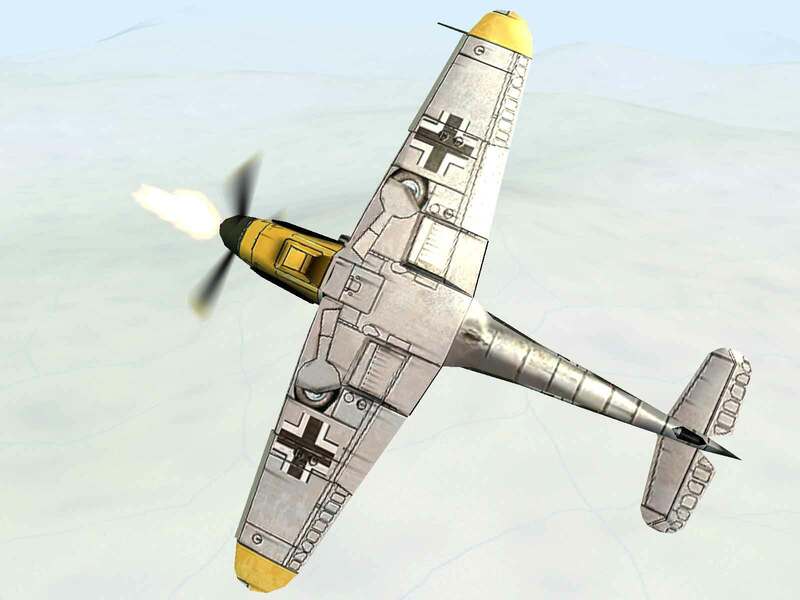 During the fall of 1939, Luftwaffe front-line units started to receive the new Bf-109E-3 model equipped with a pair of 20mm MG-FF cannon with 60 rpg in place of the MG-17s in the wings. In addition to the upgraded armament, the 1,175 hp DB-601Aa was installed, boosting top speed from 334 to 348 mph. A pair of E-3s fell into French hands in early May 1940 and, after examination by the French Air Force, were shipped to England on May 14 for trials and evaluations. 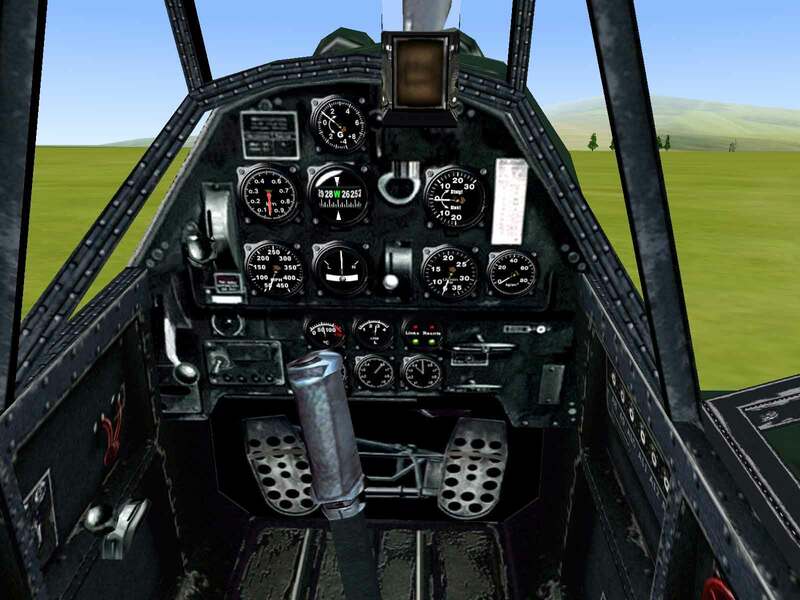 The lessons learned about the performance of the Spitfire versus the Messerschmitt enabled the RAF to employ improvements to their fleet in time for the Battle of Britain and influenced future development. During the French campaign, several lessons were learned and the E-4 model was intended to incorporate these improvements. In addition to increasing the pilot’s armor protection by about 75 lbs., the new MG-FF/M cannon, which employed a more powerful “mine” shell, were mounted in place of the older models. Additionally, experiments were made with mounting a rudimentary bomb rack on E-3s in combat. This proved successful enough that a bomb rack was mounted on the special E-4/B model at the factory, which was used to equip Erpobungsgruppe 210 for field testing. In addition to bombs, the rack could carry a 300 liter drop tank, thus increasing the range of the fighter. The E-5 and E-6 models were reconnaissance versions of the E-4, but the E-7 was a fighter variant which incorporated the bomb and drop tank carrying capacity of the E-4/B into the main production run, thus giving all planes the same capability. The E-4 was the first variant to be “tropicalized” for use in the Western Desert. The conversion consisted of adding a dust filter to the supercharger air intake and installing an emergency desert survival kit in the cargo space of the fuselage, which even included a carbine for personal protection. 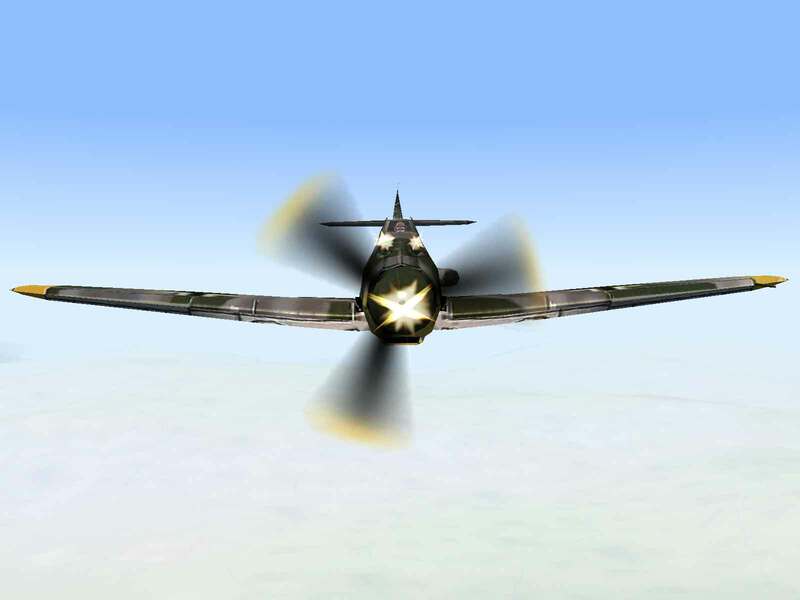 Speed – Its top speed of 388 mph at 21,325 feet was about 13 mph faster than the Spitfire V’s top speed. Climb Rate – The Franz’s climb-rate was improved over that of the Emil, with the climb to 16,400 feet being almost a full minute faster. 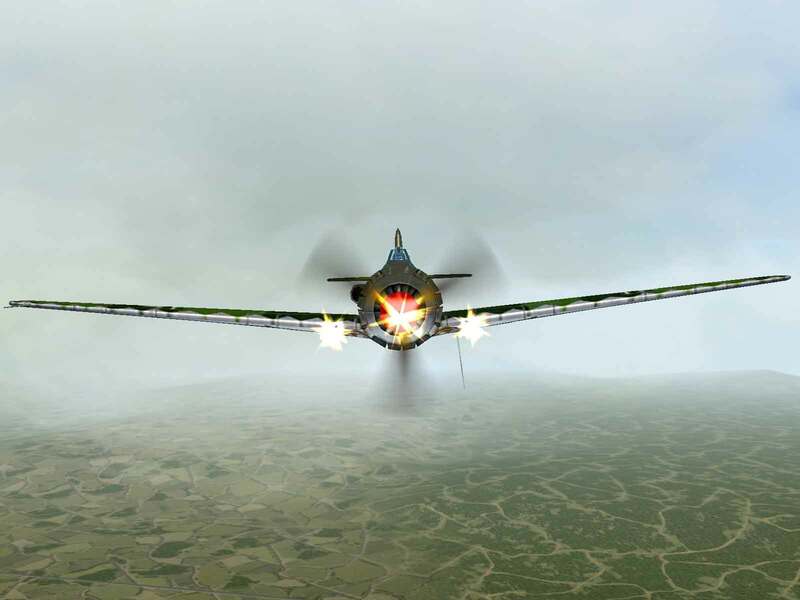 Firepower – The single 20mm cannon and pair of 7.9mm machine guns provides only half the firepower of the Spitfire V.
Early in 1940 the Augsburg Messerschmitt factory began work on improving the aerodynamic shape and streamlining of the design in order to obtain maximum performance. Four prototypes were built from the E-4 production run, each intended to test one or more of the changes. The first change was to the shape of the nose with a steady even slope down to the spinner replacing the “stepped” look of the Emil. The spinner was enlarged and rounded to provide a smooth aerodynamic shape. Finally, the supercharger air intake was changed from square to round and was placed away from the fuselage to improve the ram effect. The tail section saw a reduction in the size of the rudder from 8.1 to 7.5 sq. ft. and the horizontal stabilizer was moved slightly forward and down, with the elimination of the support struts being the most visible change. This later proved to be a problem when sympathetic vibrations from the engine caused metal fatigue to set in, which resulted in failure of the fuselage just forward of the tail. Installation of external braces in the field fixed the problem for existing planes while production changes were made to improve structural strength. The largest drag reduction came from a redesign of the under-wing radiators, which were both reduced in height and were recessed into the wing. A boundary layer bypass system was devised to collect turbulent air in front of the radiators, leading it over the radiators and out through a duct in the inner flaps. The V-21 and V-22 prototypes had the wingspan reduced by two feet but this had a detrimental effect on handling. The V-23 prototype installed a pair of detachable, semi-elliptical wingtips that restored all but 2.16 sq. ft. of the original wing area. This worked well and the wingtips were incorporated as a standard part of the wing on all subsequent versions. Initially the 1,375 hp DB-601E was to be used, but the engine wouldn’t be ready for a full year after F-series production commenced. So in the meantime, Messerschmitt used 1,200 hp DB-601N, which achieved its performance partly through the use of higher compression ratios and 96 octane fuel. Similarly, the plane’s armament was to be considerably changed from that of the Emil. Replacing the pair of wing-mounted MG-FF/M cannon was to be a single MG-151 cannon, which would be produced in both 15mm and 20mm versions. The higher rate of fire, greater hitting power and higher ammo loads were considered to provide an overall greater firepower. 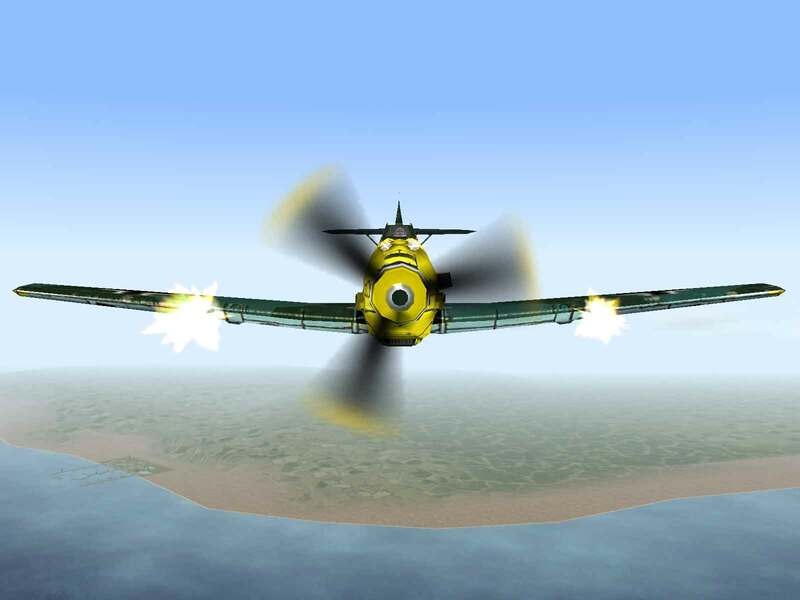 Additionally, removal of the wing-mounted guns improved roll performance, which was a welcome change to pilots. However, the MG-151 wasn’t yet ready and a single engine-mounted MG-FF/M was used instead. This version went into production as the F-1 with the first examples rolling off the assembly line in November 1940. 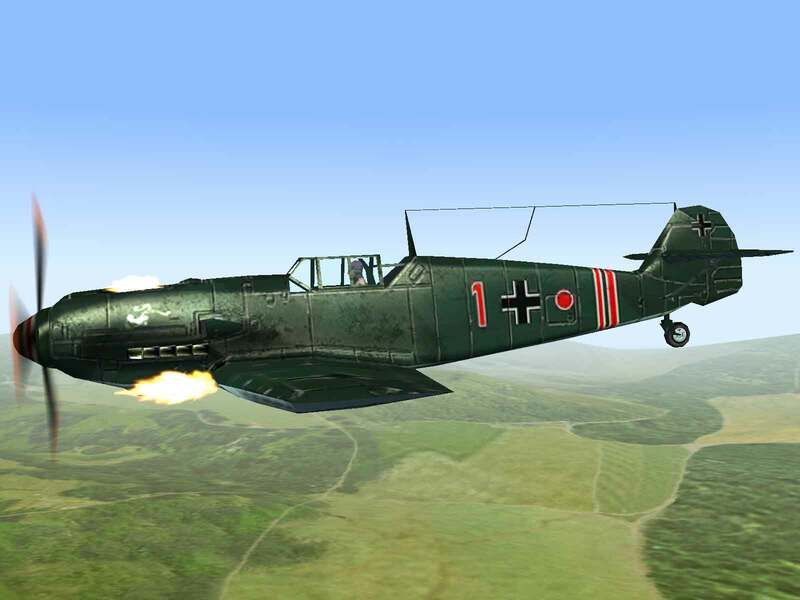 By March and April 1941, JG 2 and JG 26 on the channel coast were converting in large numbers to the F-1 and the newer F-2s, which utilized the 15mm MG-151, the 20mm model not yet being ready. At the beginning of 1942, the F-3 started coming off the production line using the now available DB-601E. The lower compression ratio of the 601E allowed 87-octane fuel to be used, which was more readily available. Simultaneous with F-3 production was the F-4, which utilized the heavier hitting 20mm MG-151, with the ammo load being reduced from 200 to 150 rounds. Further improvements included additional self-sealing to the fuel tanks and additional pilot armor. The F-4/B added the capability of carrying bombs or a drop tank, while the F-4/Z utilized an experimental nitrous-oxide injection system. A number of F-4s were used to experiment with various engine and landing gear installations. These included a tricycle landing gear system as well as experiments in using the BMW-801 radial and Junkers Jumo 213 inline with annular radiator (the same as used in the FW-190D). Despite the increased weight of the Franz over the Emil, the performance of the Franz was considerably better. 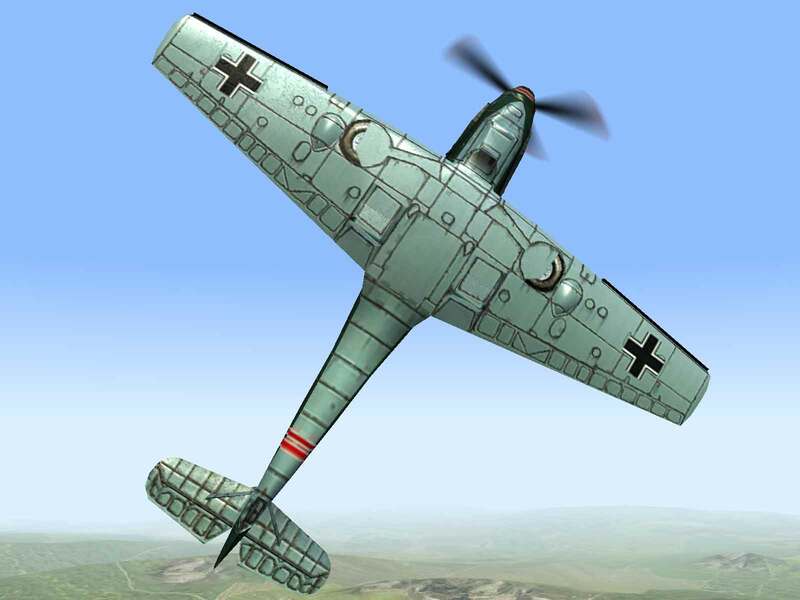 Many pilots considered the Franz to be the zenith of 109 development, with the best combination of speed, firepower and turn-rate. — Herbert Kaiser, German fighter ace. 68 victories. Source:The Great Book of WW2 Airplanes, page 470. Speed – The top speed of 334 mph is very good for an early war fighter. 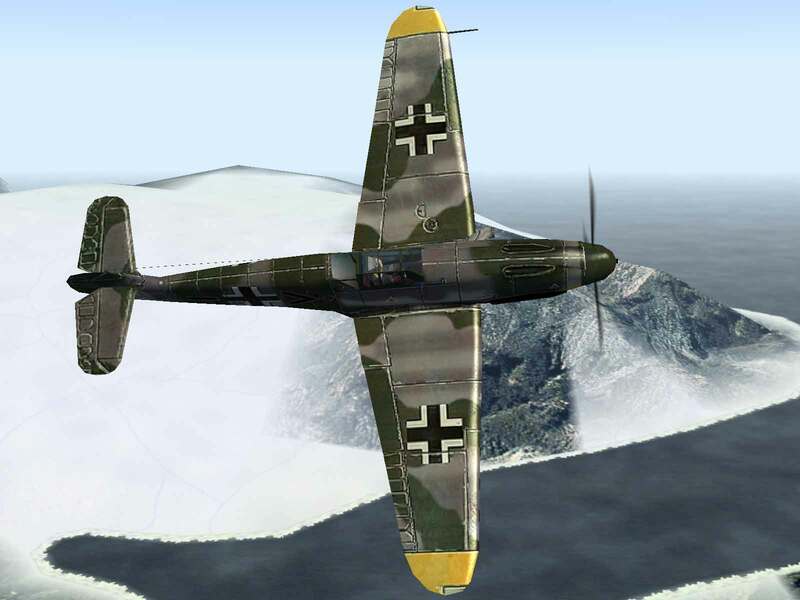 Climb Rate – The Bf-109s all had superior climb rate over their competition. 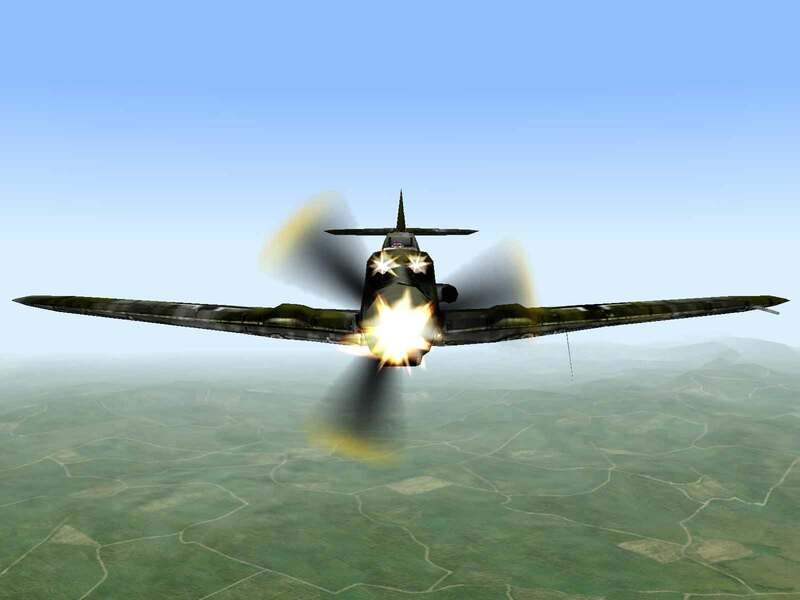 Firepower – The four 7.9mm machine-guns were only half as many as mounted in the Spitfire and Hurricane. 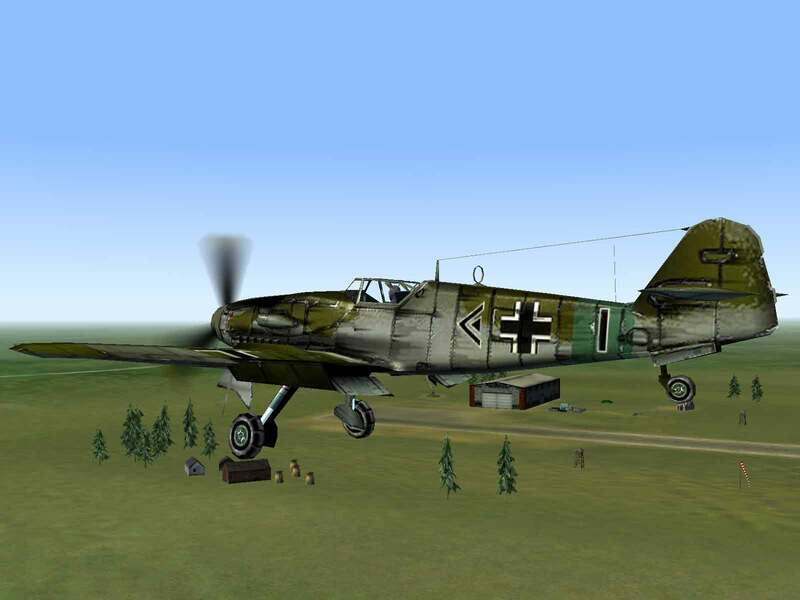 Willy Messerschmitt’s masterpiece, the Bf-109, was the prototypical modern fighter at the beginning of the war and was still going strong at war’s end six years later. Ironically, the plane was almost rejected before it was submitted. Due to several previous run-ins over a previous transport design, Erhard Milch, the Reich Commissioner for Aviation, flatly stated that Bayerische Flugzeugwerke and Willy Messerschmitt wouldn’t be allowed to build anything but other peoples’ designs. 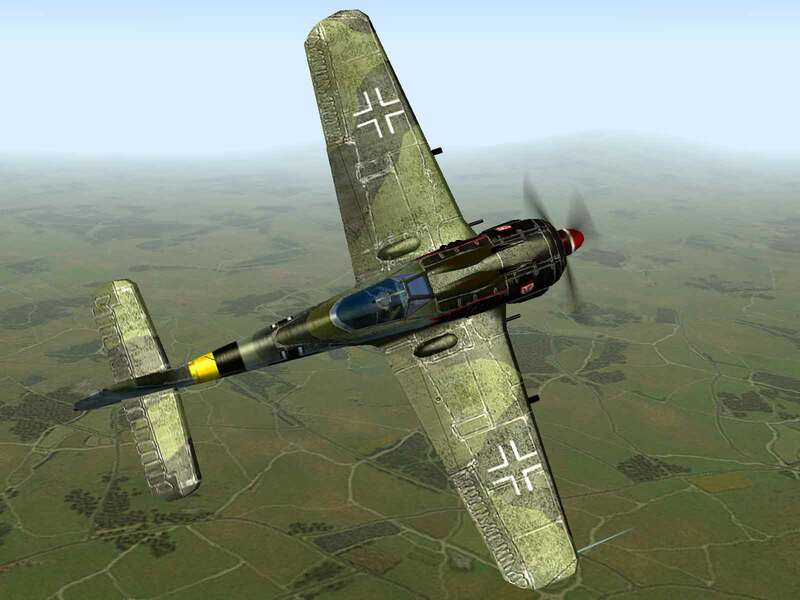 Despite assurances he would never get a contract, Messerschmitt went ahead and entered the competition to provide a new front-line fighter for the Luftwaffe. 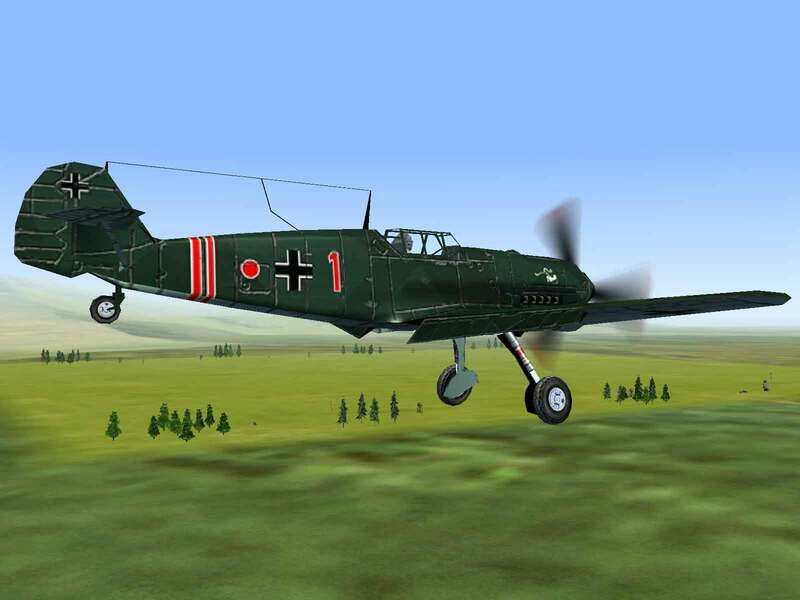 Besides using the most advanced technology available in 1934, the Bf-109A was designed to be able to use either the Junkers Jumo 210 or the Daimler-Benz DB-600 engine, both of which were under development at the time. 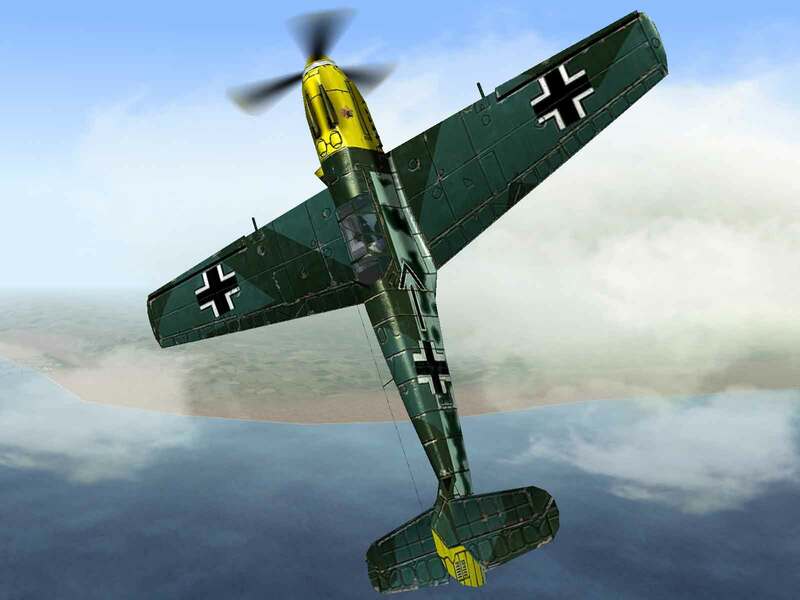 With the new engines undergoing developmental delays, a Rolls Royce Kestrel engine was installed in the prototype and the Bf-109V-1 first took to the air in September 1935. A month later the Jumo 210A became available and was used to power the second prototype, which commenced flight testing in January 1936. 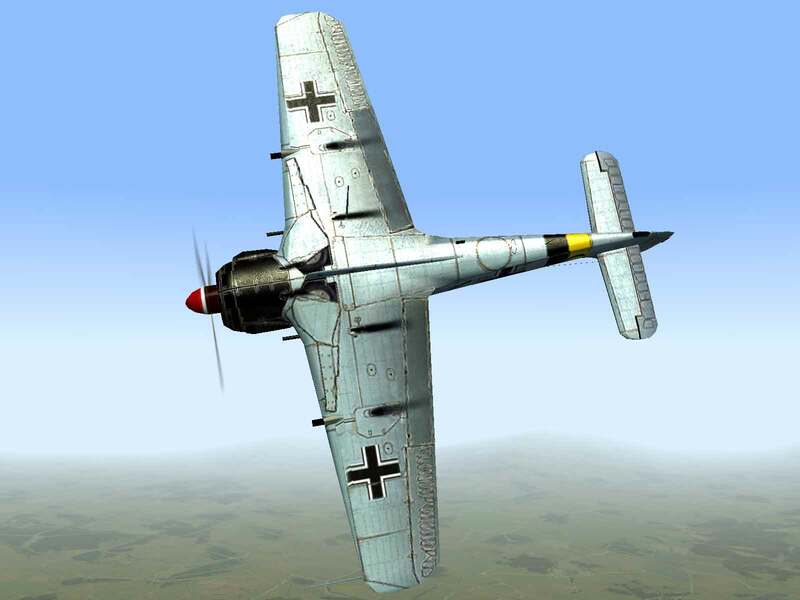 With the completion of the third prototype with the Daimler Benz engine in June, the Luftwaffe was impressed enough to order ten pre-production machines. 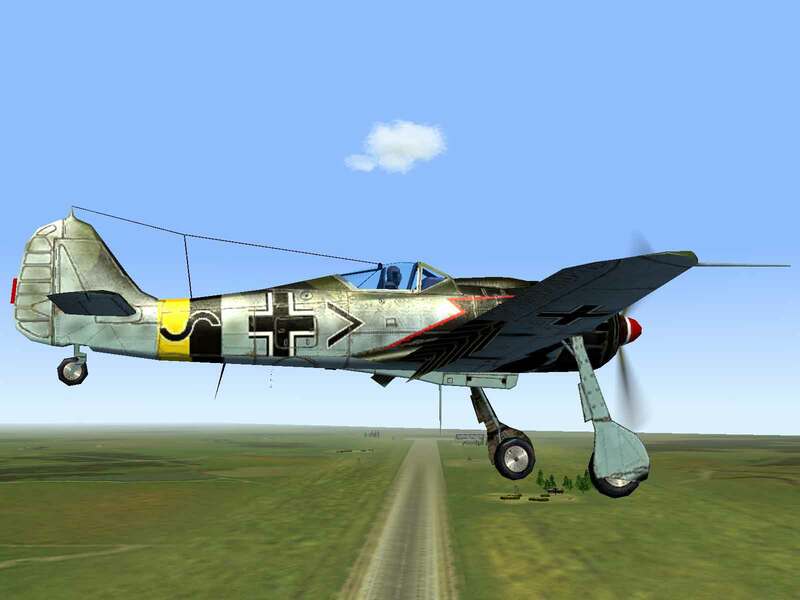 By the time the fourth prototype was undergoing testing, the guns had been installed and the Bf-109 was officially a fighter. The initial guns arrangement consisted of a pair of MG-17s in the cowl and another MG-17 firing through the propeller hub. 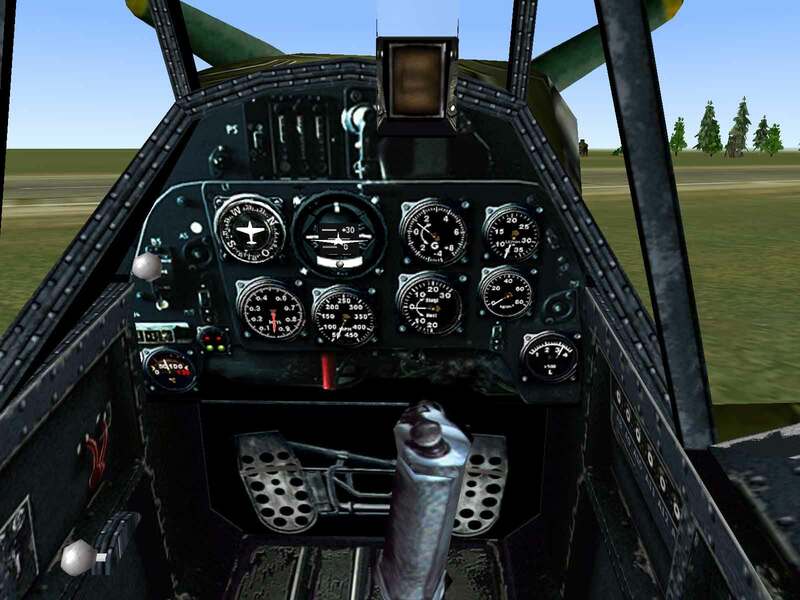 In late 1936 the third, fourth, and fifth prototypes were sent to Spain for combat evaluations against the Polikarpov I-15 fighters, which were outclassing the older He-51 biplanes. After three months of successful testing, the prototypes were returned to Messerschmitt to allow continuation of the development program. 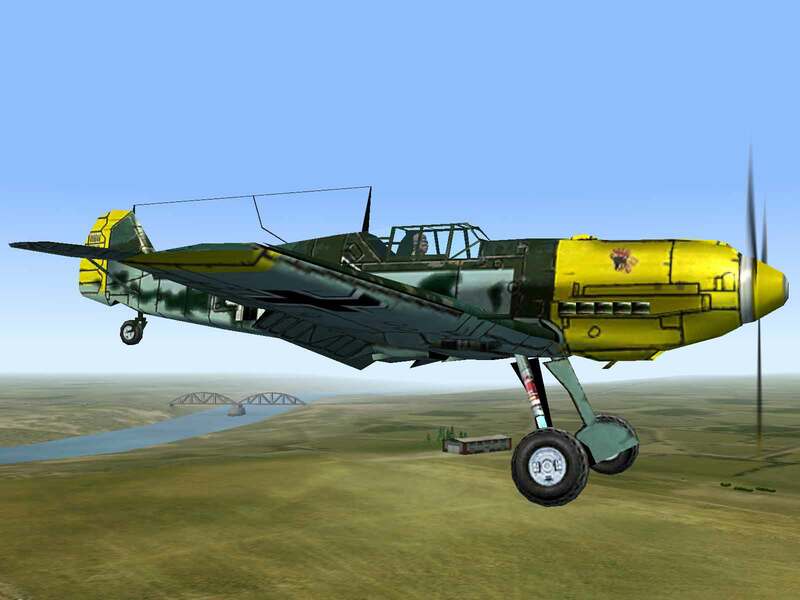 The first official production machine, the Jumo 210Da powered Bf-109B-1, was delivered in February 1937. 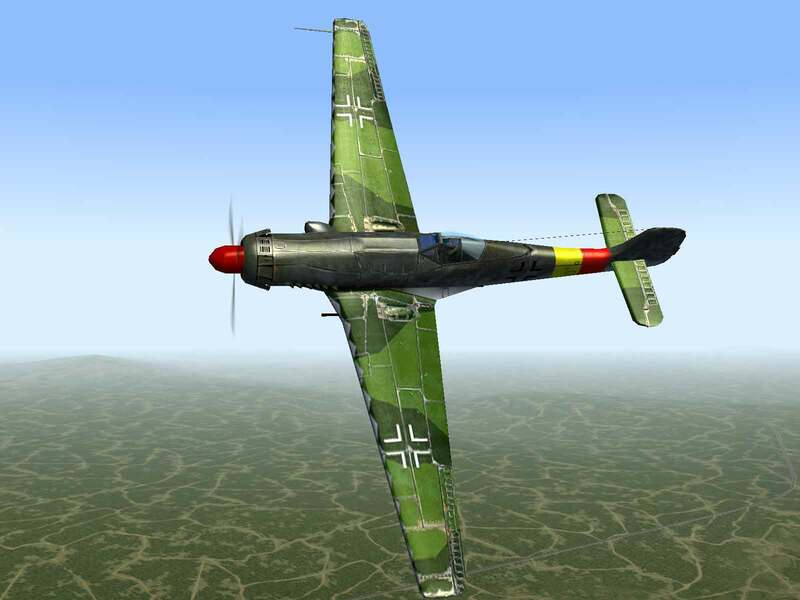 The planes were assigned to JG 132 Richtofen and after hasty training, the unit was sent to Spain to counter the I-15s and the new I-16 Ratas that were just starting to appear. Throughout 1937 B models were hurriedly produced, brought into service, and shipped off to the Condor Legion in Spain. 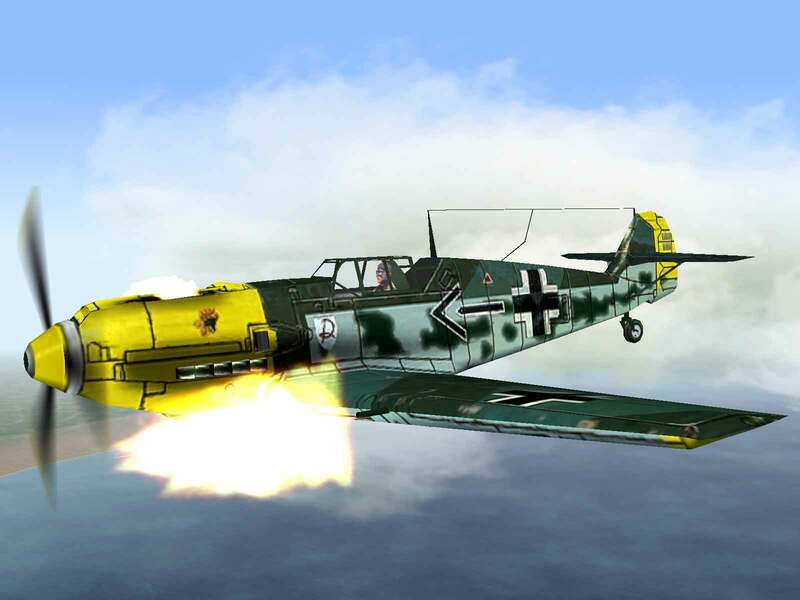 Using the more powerful Jumo 210Ga, the Bf-109C-1 made its first appearance in the early spring of 1938. Originally intended to mount an MG-FF 20mm cannon in the propeller hub, problems with the gun required another alternative to be used, resulting in the installation of an MG-17 in each wing, outboard of the wheel wells. 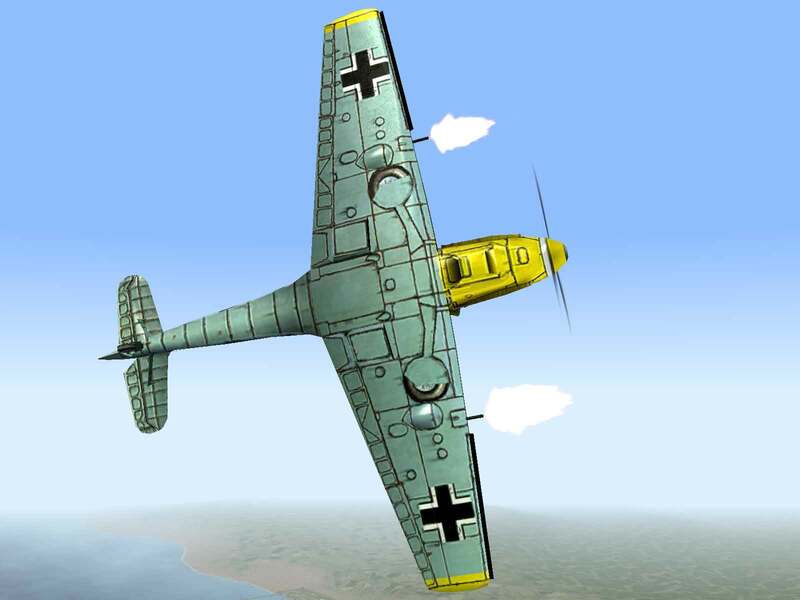 Thinking that the new Daimler Benz DB-601 was ready for production, the new ìDî model was introduced, but engine production delays meant that the Jumo 210Da had to be used for the Bf-109D-1 “Dora”. 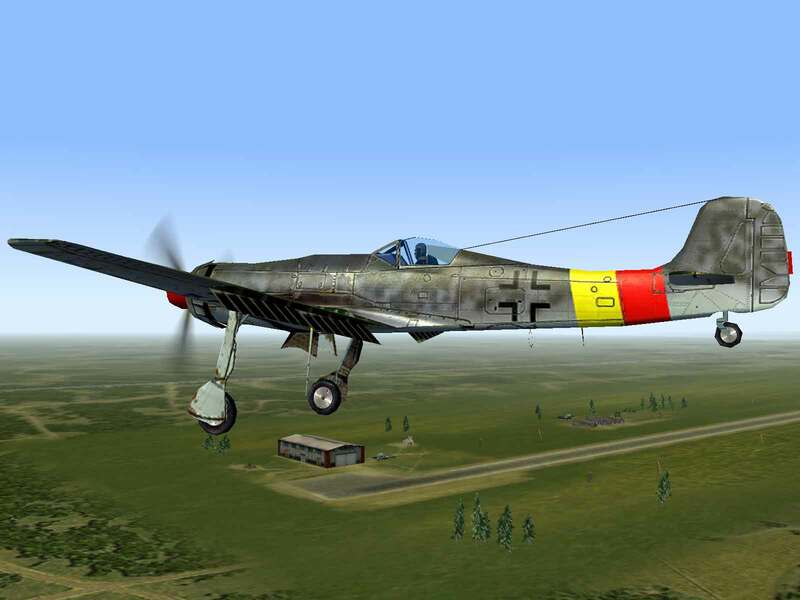 In the summer of 1938, the DB-601A-1 was ready and the first Bf-109E-1 “Emils” started to roll off the production line by the end of the year. As with the C-1 and D models, the E-1 was fitted with a pair of MG-17s with 1000 rpg in the cowl and another pair of MG-17s with 420 rpg in the wings. The more heavily armed E-3 version, with a pair of 20mm MG-FF cannon in wings in place of the MG-17s, began to reach front-line units in the fall of 1939. However, the E-1 remained the primary version in service throughout the war in Poland, Scandinavia, the Lowlands and France in 1940. By the time of the Battle of Britain, most of the E-1s had been replaced by the E-3 and E-4 models and were thus relegated to training duties. However, the machine-gun armed Emil filled an important gap and helped seed the reputation that would soon enshroud Willy Messerschmitt’s little fighter. Green, William; War Planes Of the Second World War: Fighters Volume One; Doubleday and Company, Garden City, NY; 1970.